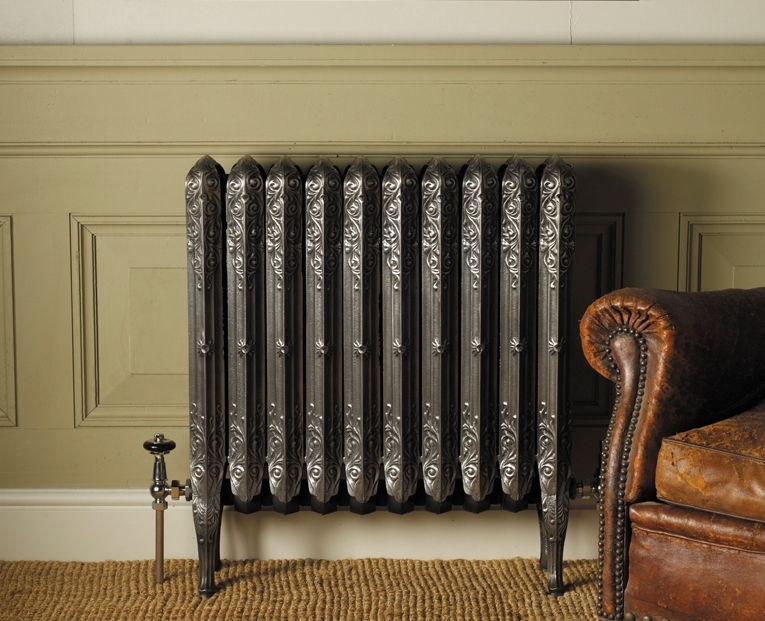 All prices quoted exclude 20% vat but include a stock colour paint finish on the radiators. 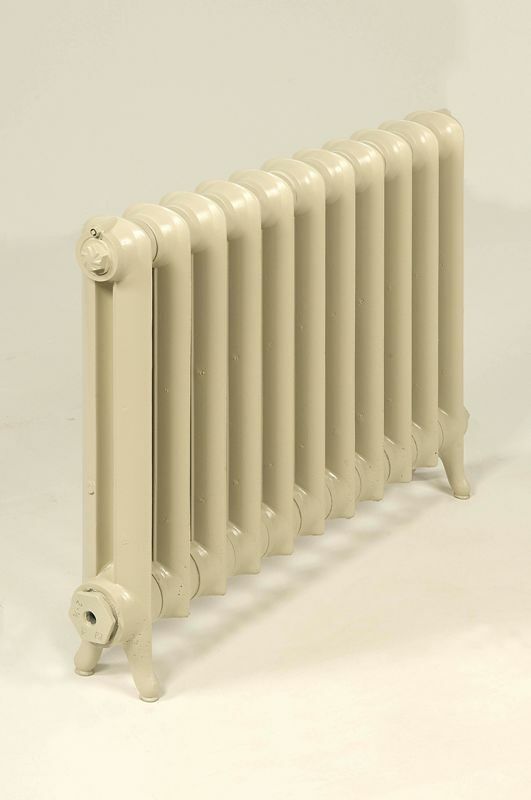 Quoted prices include Stock Paint Finishes shown on our price list in a satin finish, Available stock paint finishes Black, Cream, White, Old Gold, Grey Bronze, Gun metal & Anthracite. 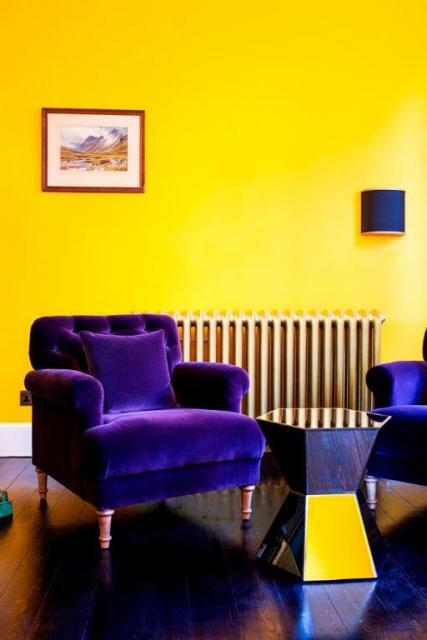 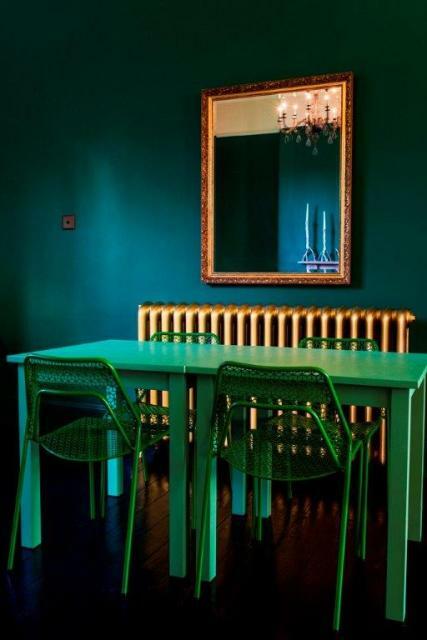 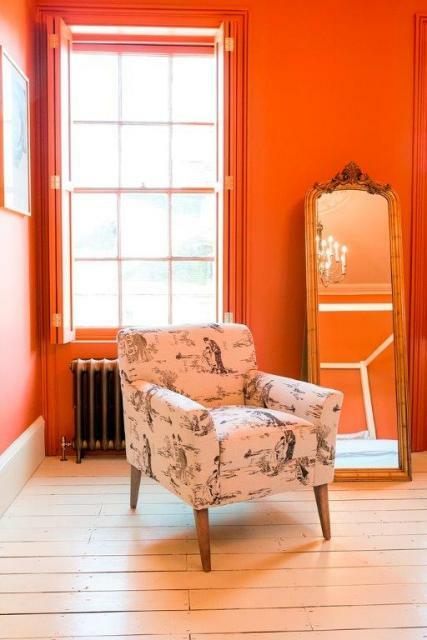 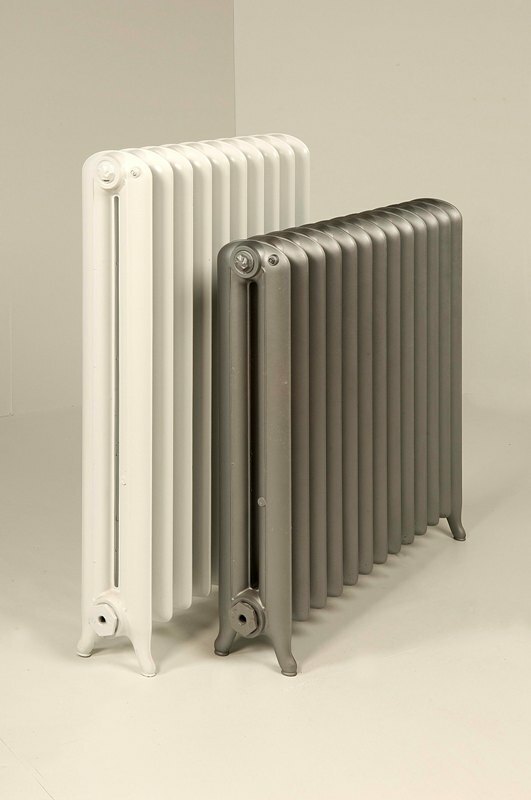 We can spray paint using a colourmatch RAL/paint company's named colour for an additional £50.00 for the first radiator in a none stock colour with subsequent radiators at £30 per radiator in the same colour/finish or Ardenbrite metallic paints from £150.00 per radiator. 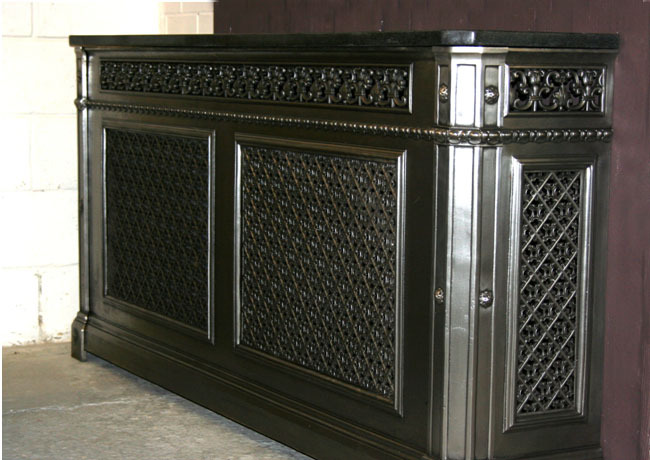 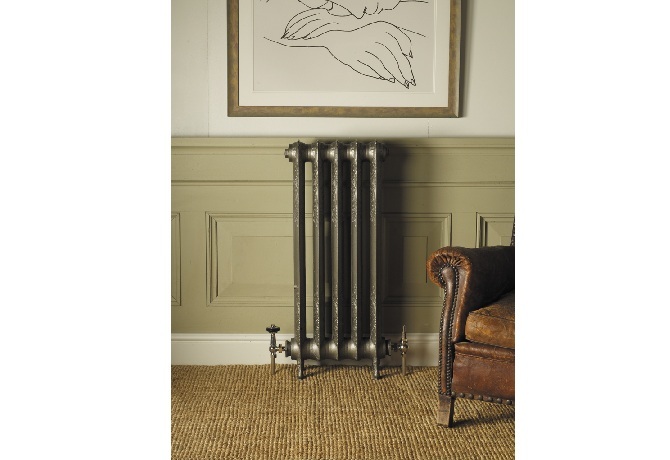 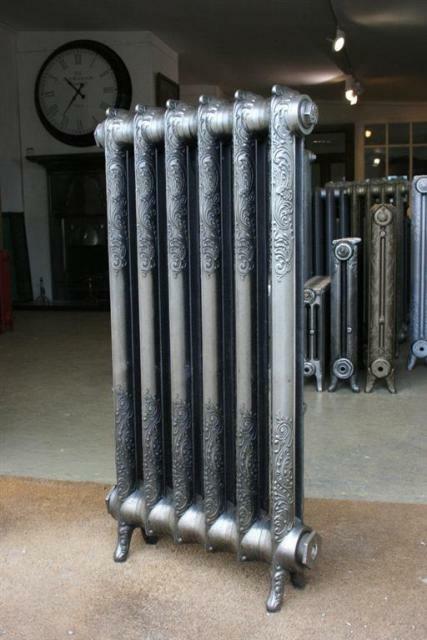 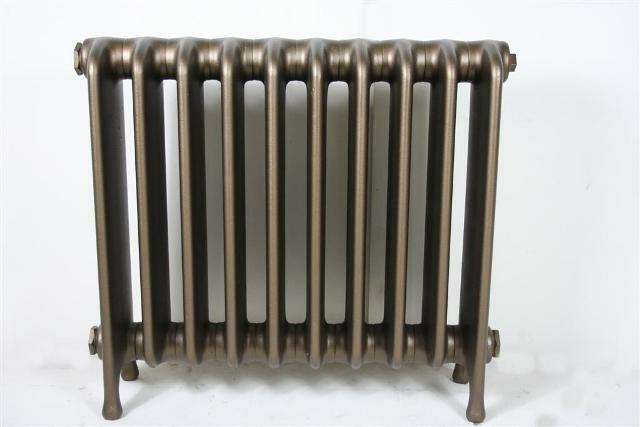 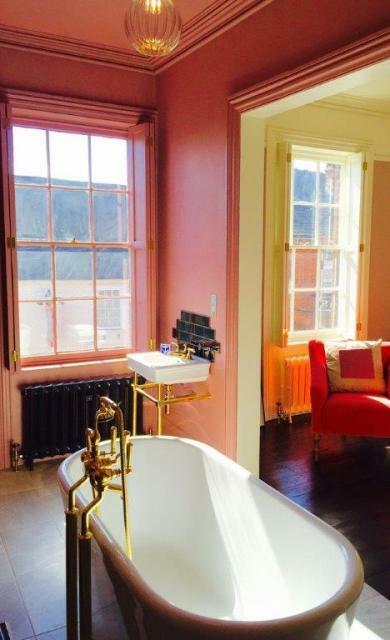 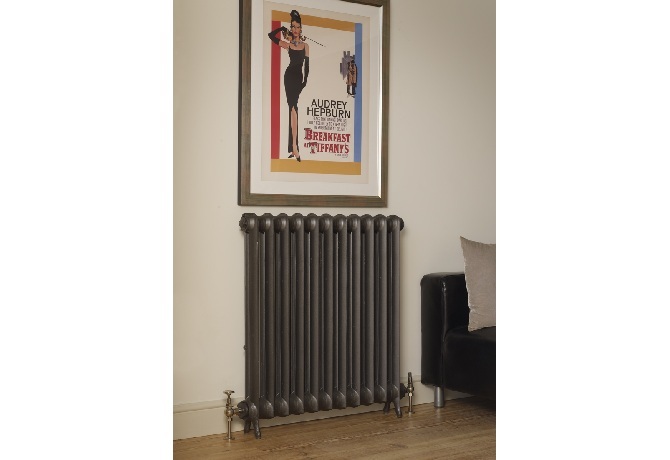 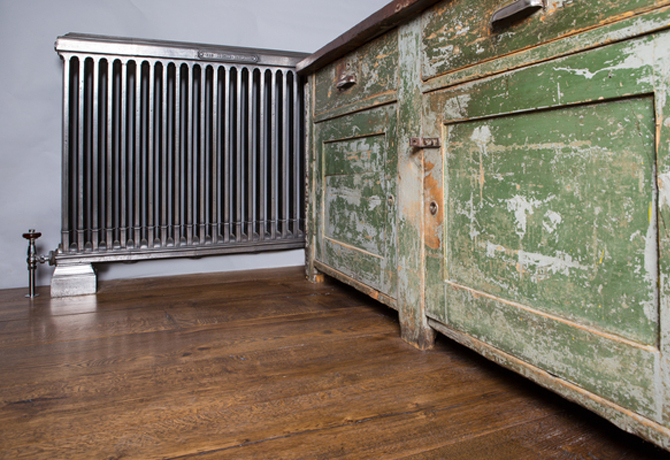 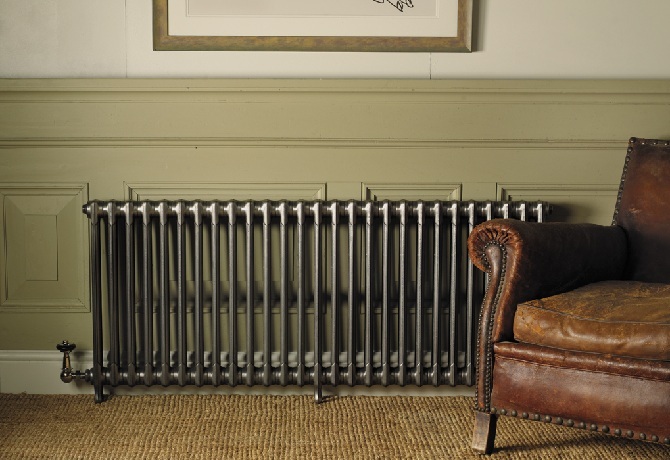 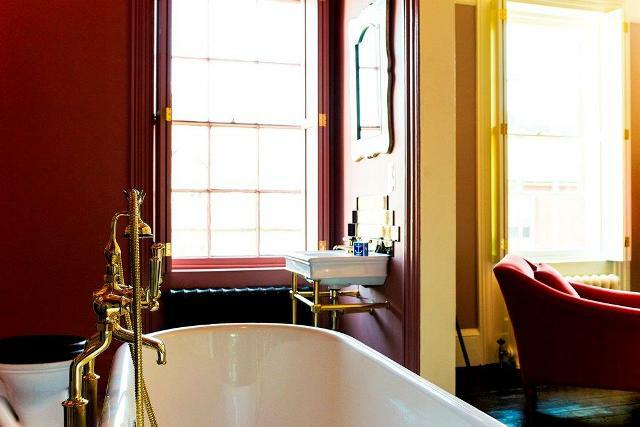 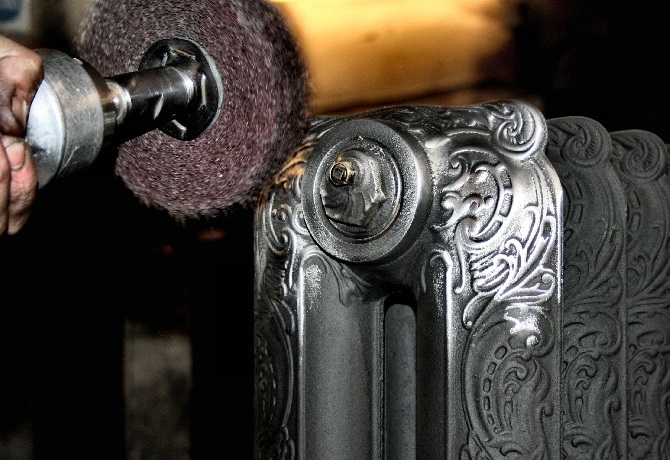 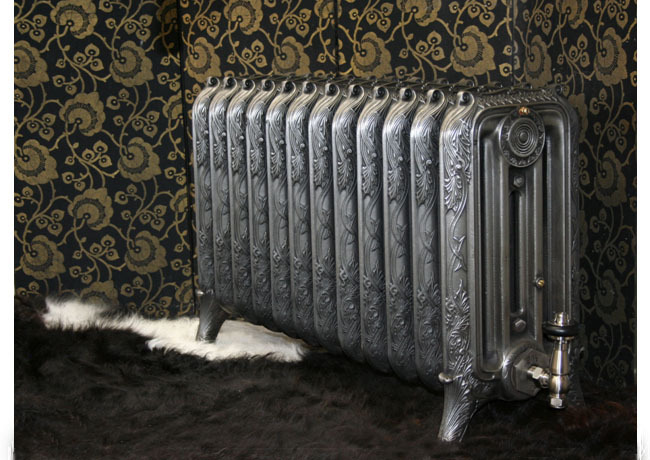 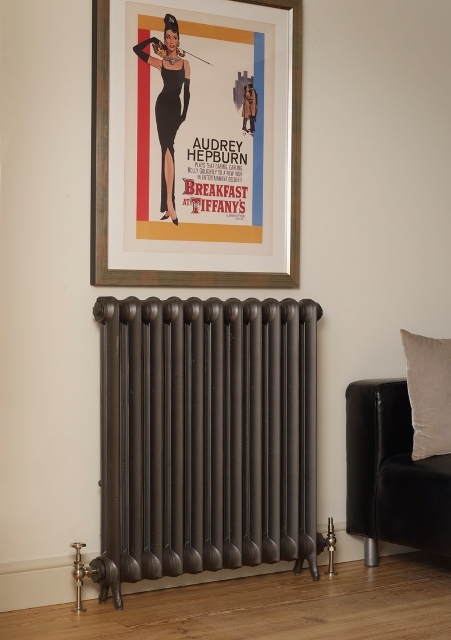 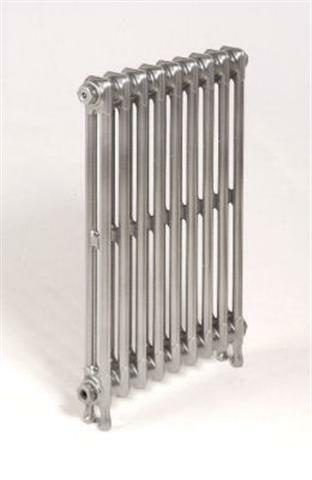 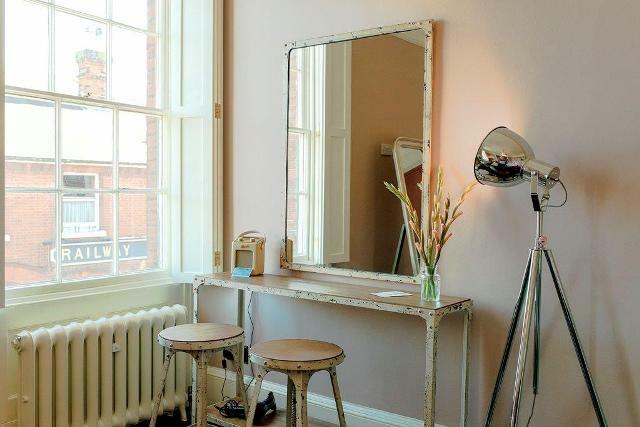 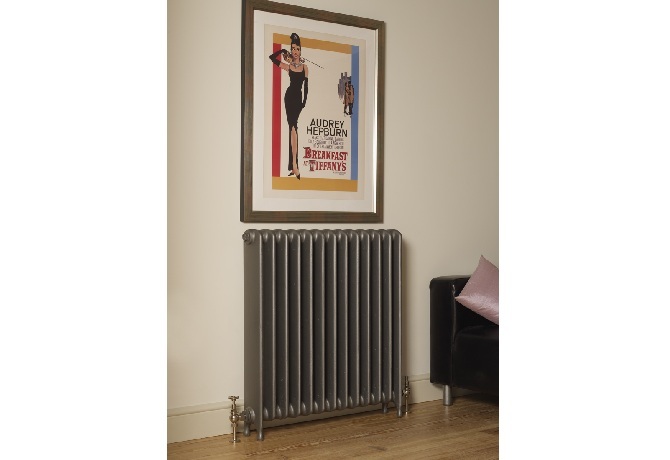 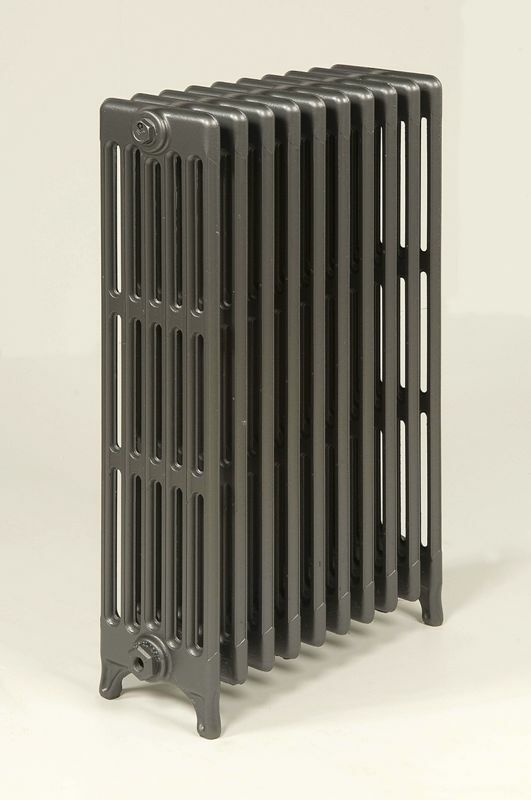 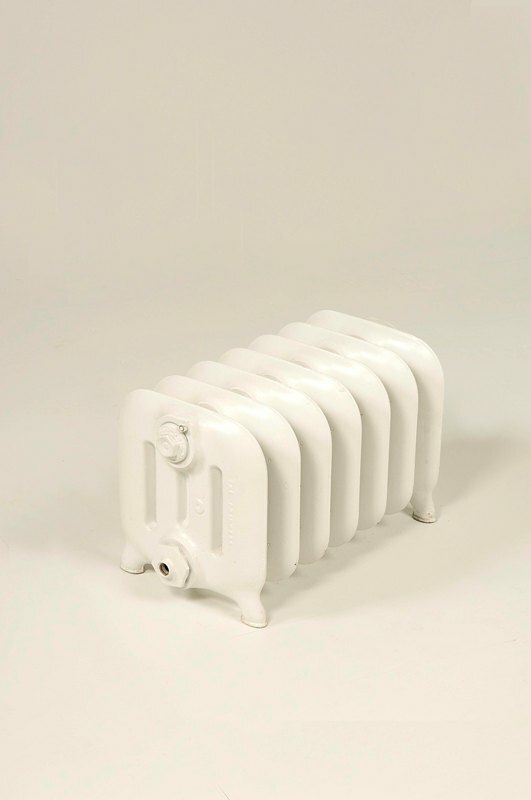 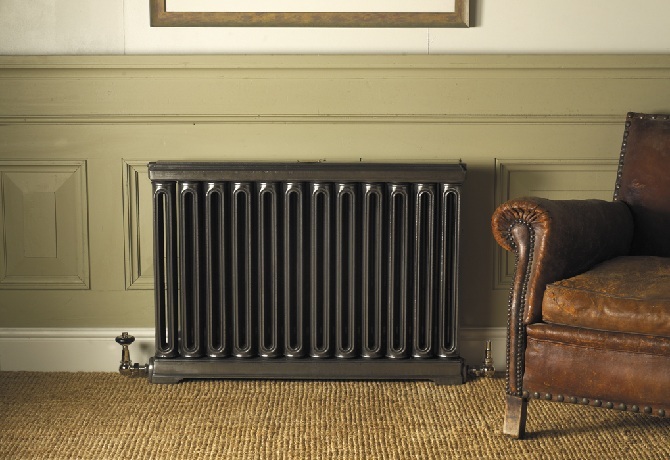 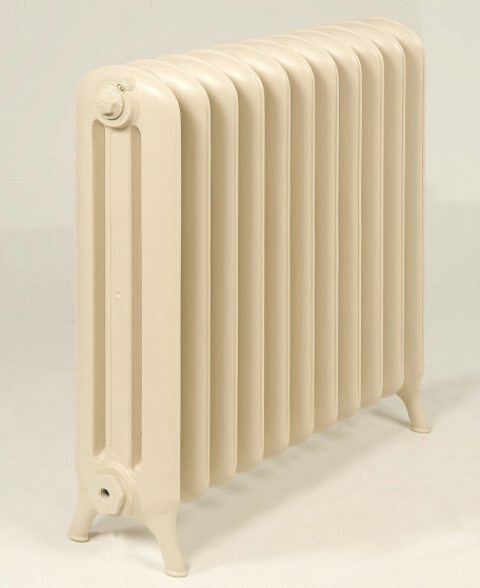 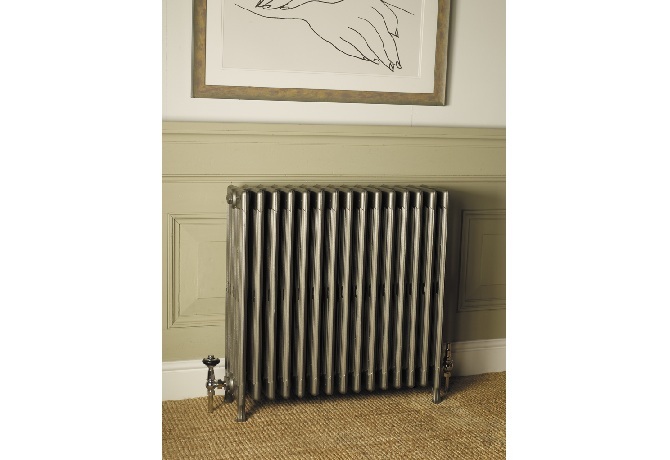 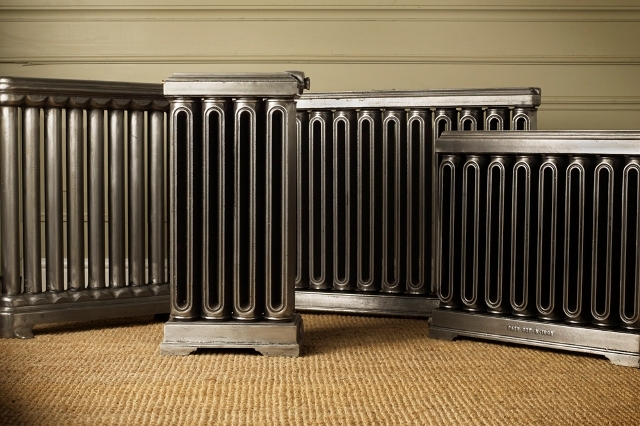 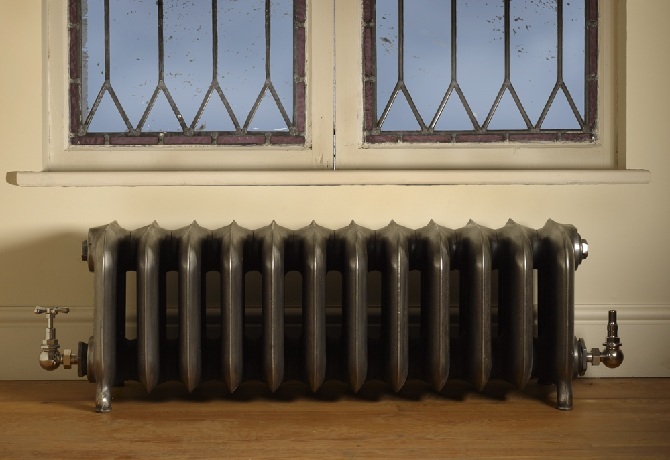 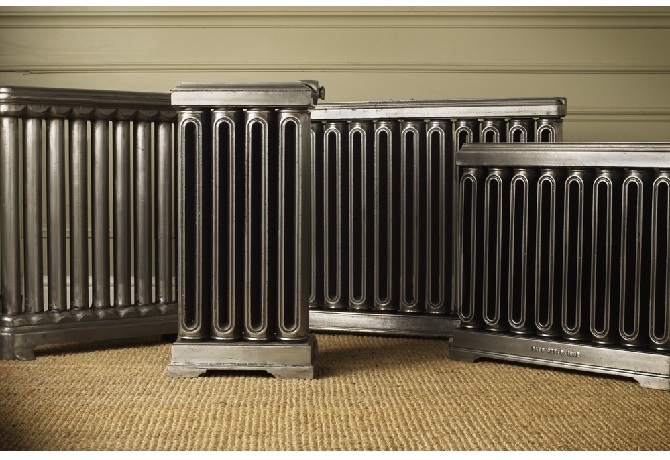 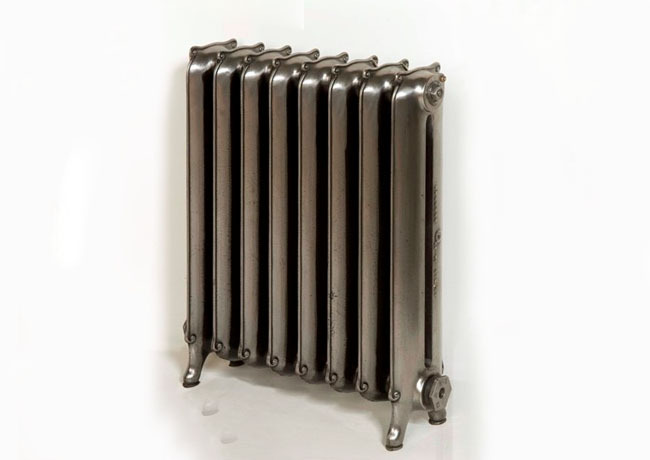 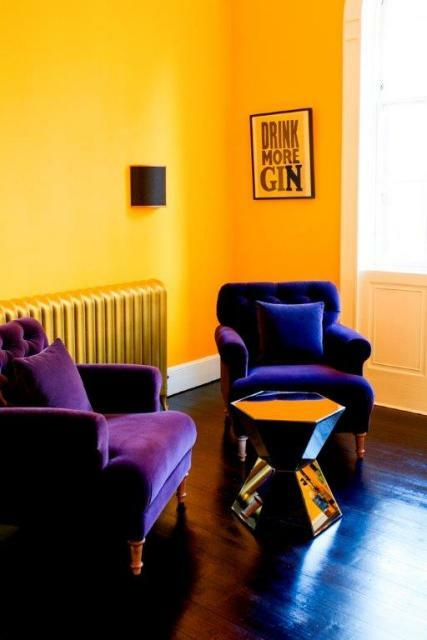 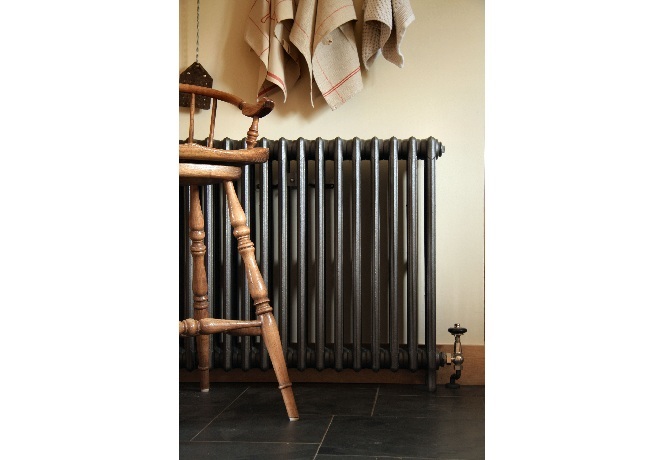 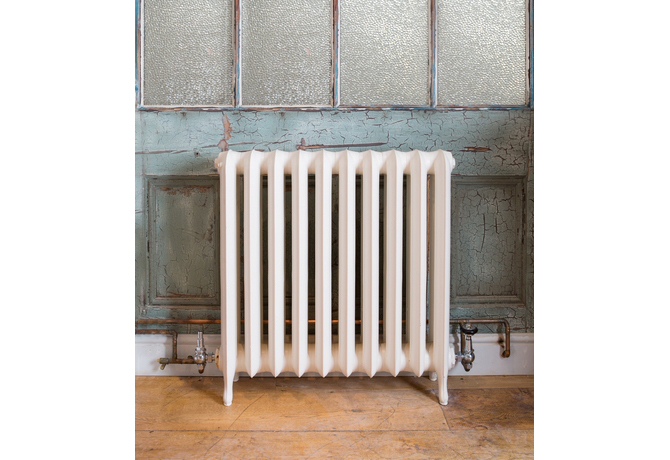 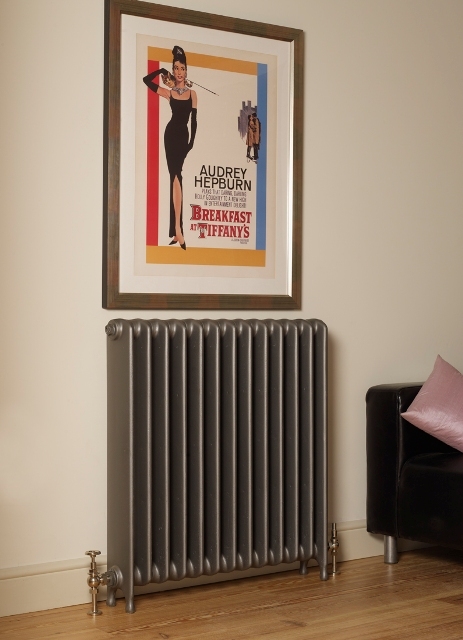 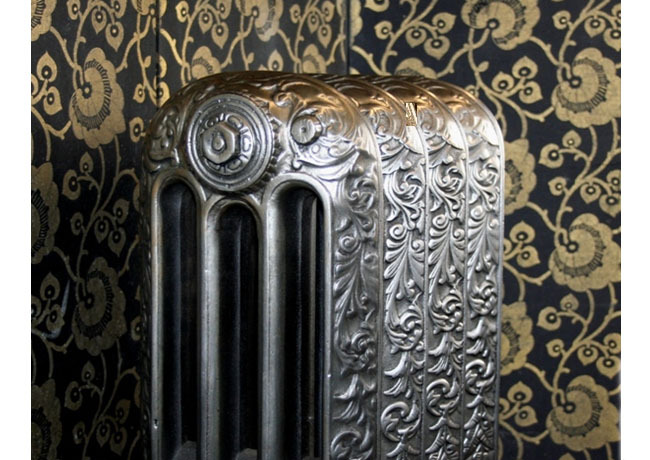 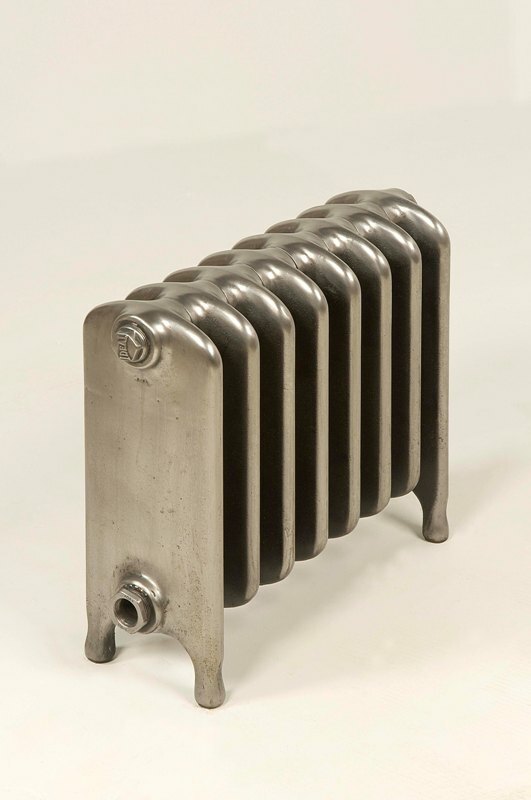 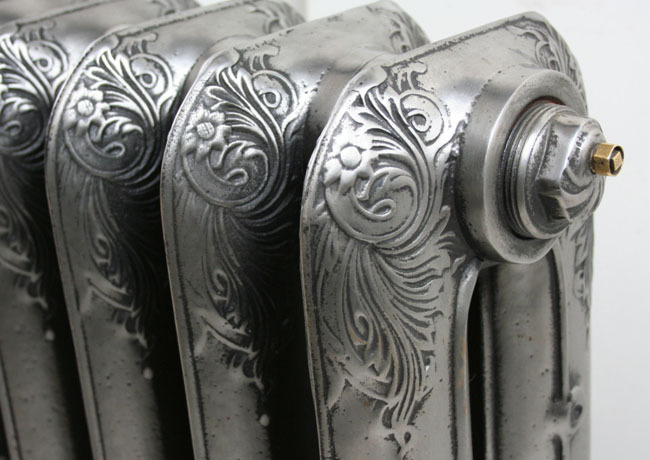 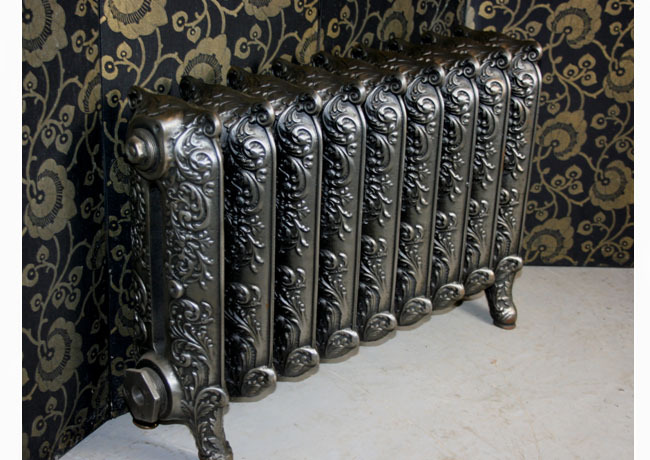 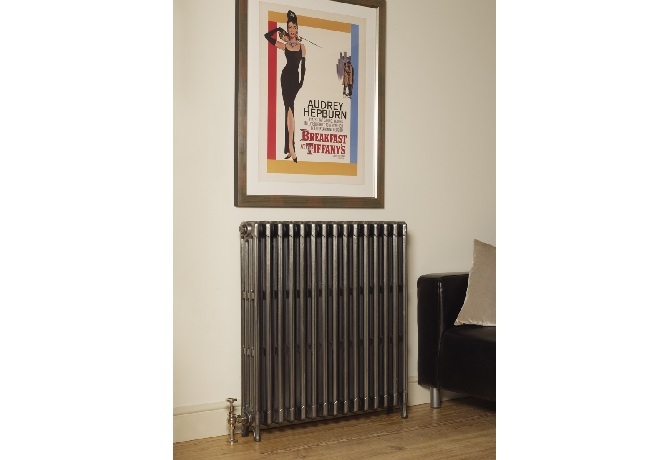 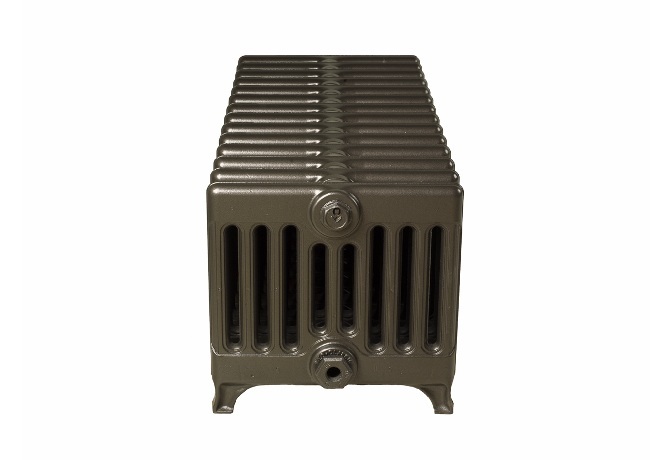 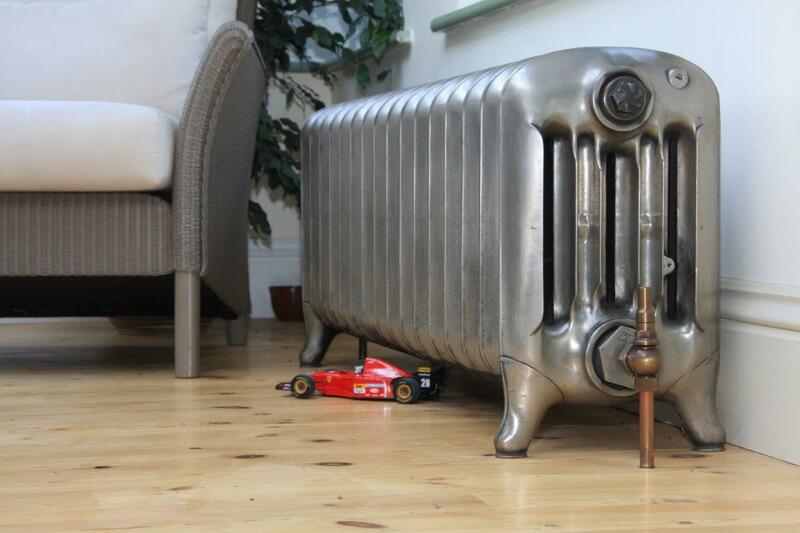 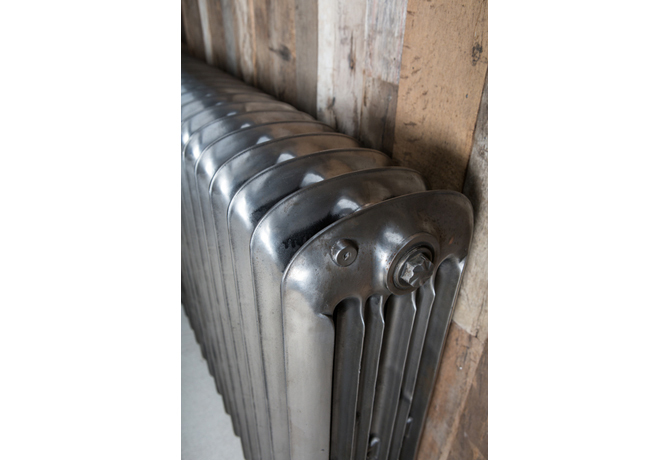 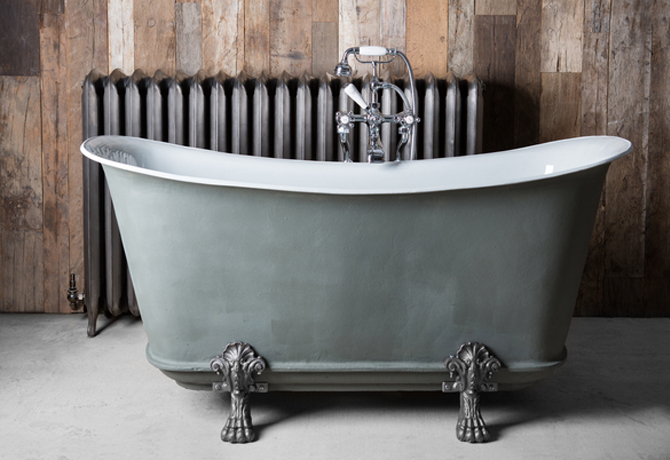 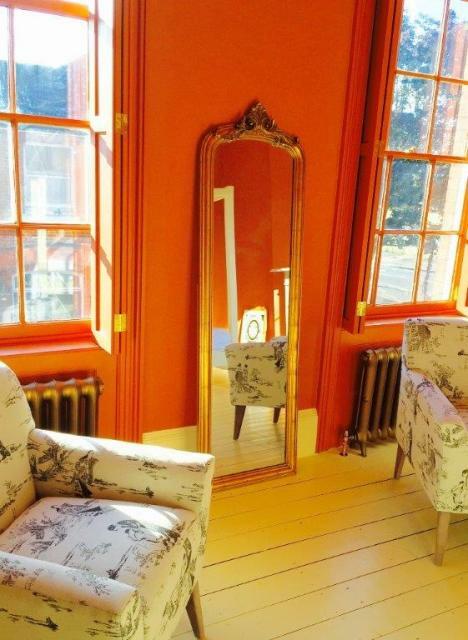 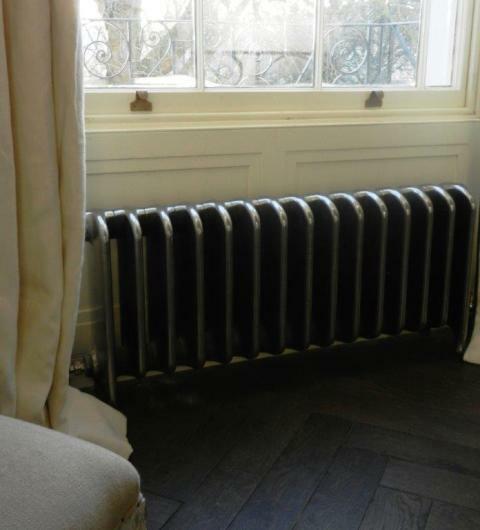 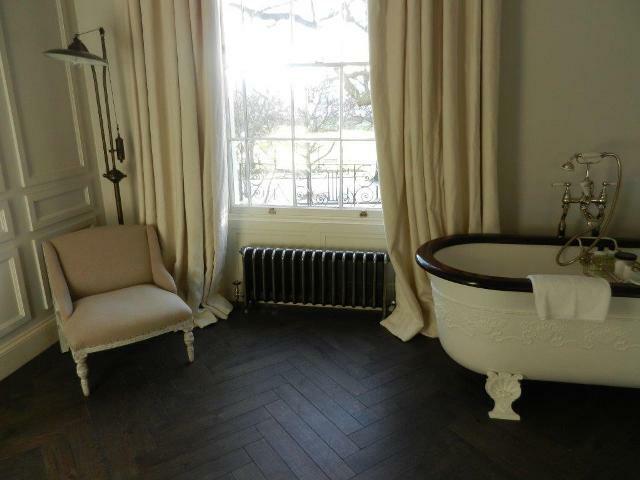 Any radiator style can be professionally polished and will look stunning. 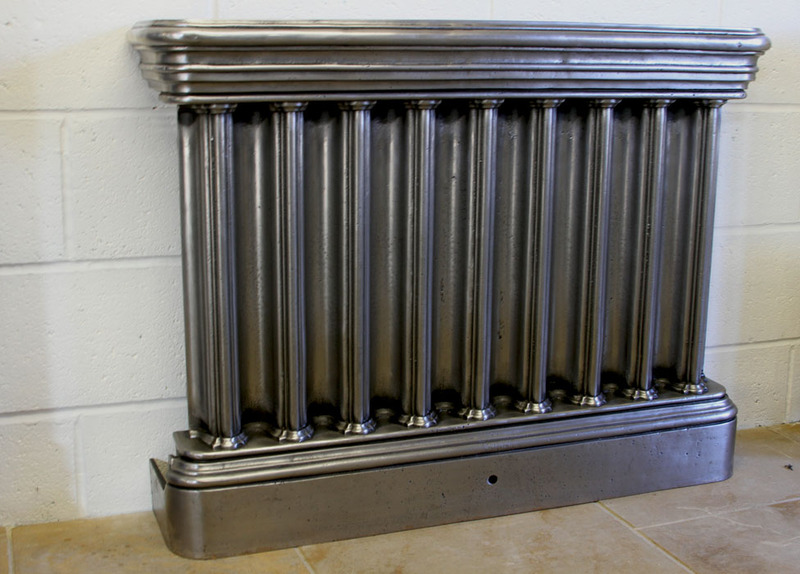 The cost of this finish is £19.50 per section. 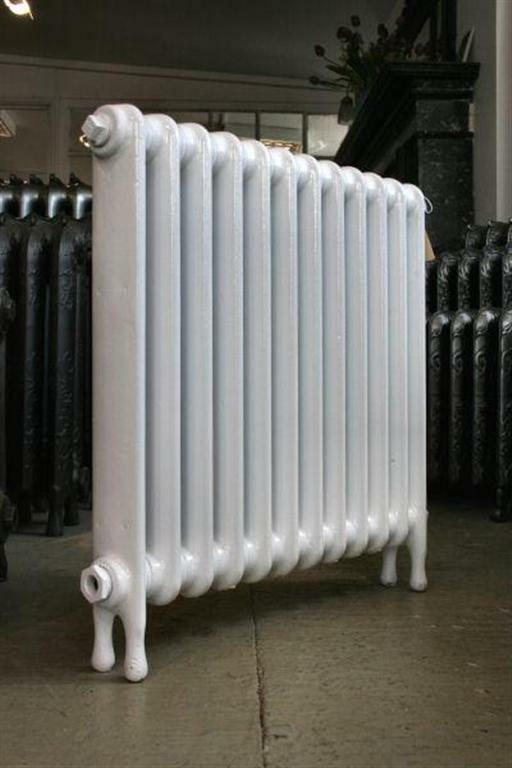 Refurbishment of your own radiators by us is charged from £250.00 per radiator. 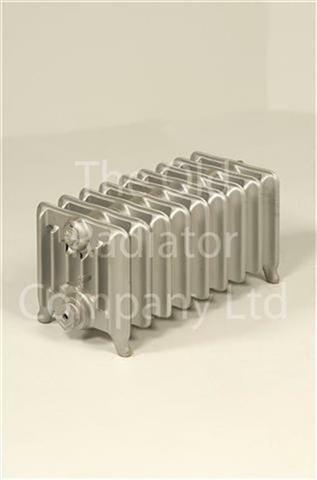 Please talk to us on an individual basis to get a precise quotation for your radiators. 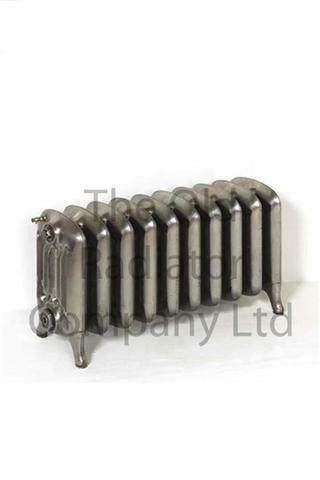 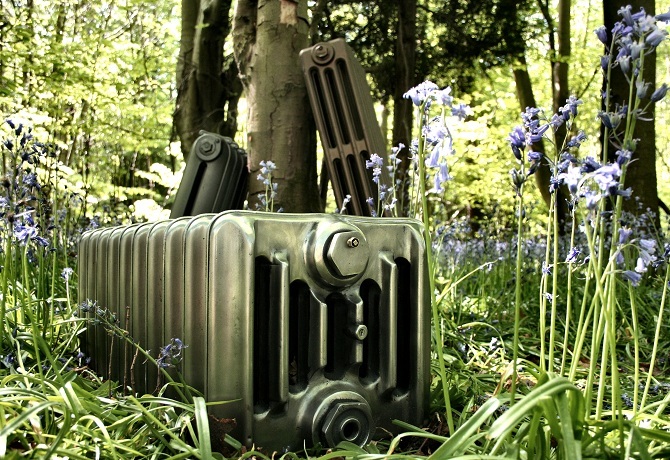 Deliveries to England & Wales are £95.00 per delivery by courier (palletised) or by The Old Radiator Company transport. 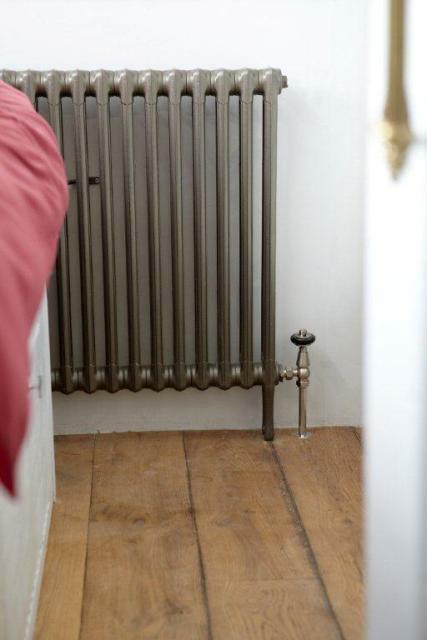 Please note either delivery method is kerb-side but our driver will assist you at his discretion. 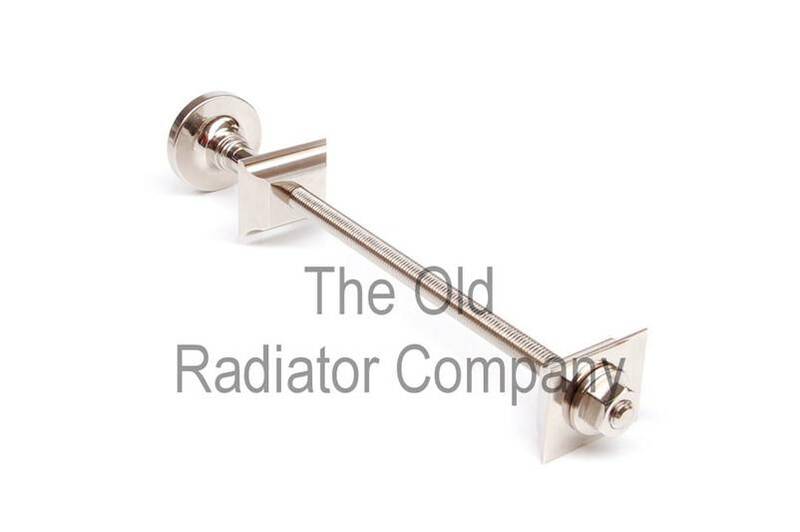 If you invite the driver onto your premises this is at your own risk. 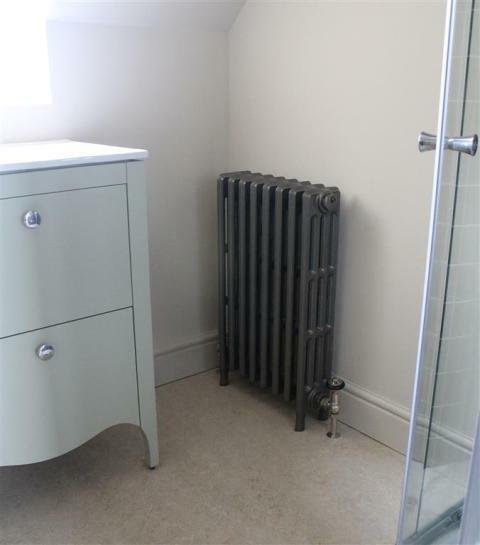 We are unable to take radiators up or down steps or stairs. 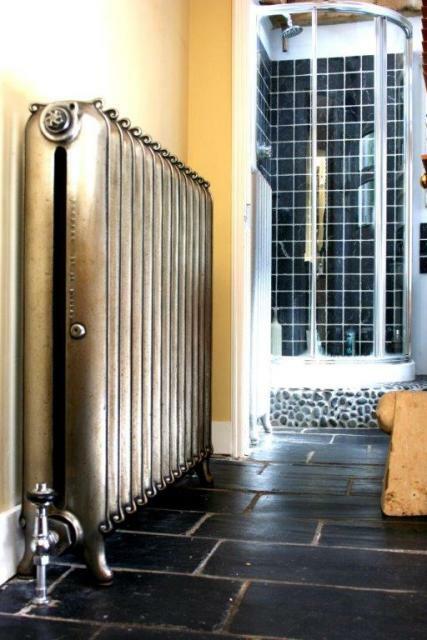 Please contact us for a quotation for deliveries to Scotland & outside mainland UK. 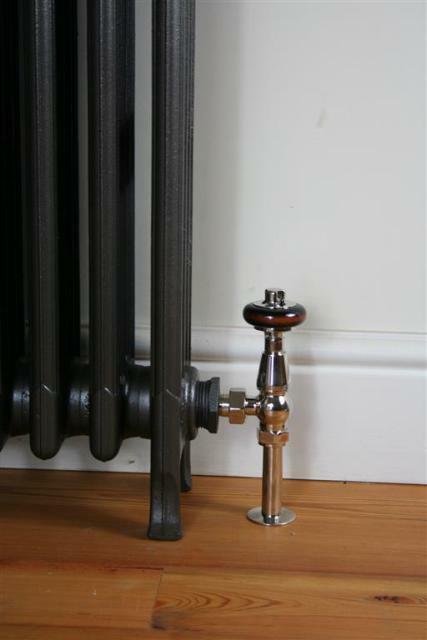 The price list for accessories: valves, shrouds, wall stays and feet can be found at the end of the price list below. 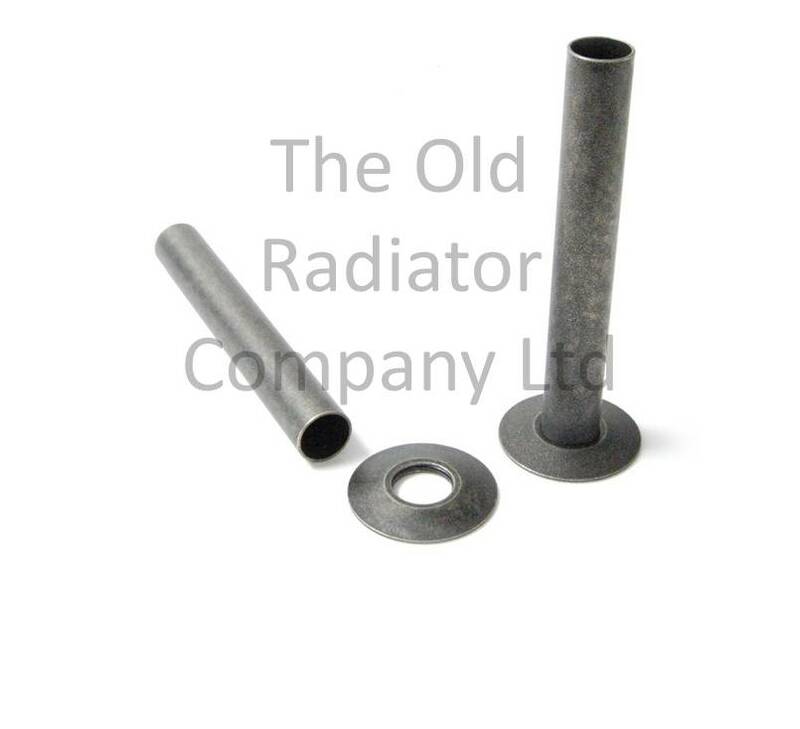 We charge £15.00 per order for delivery of accessories to a UK address. 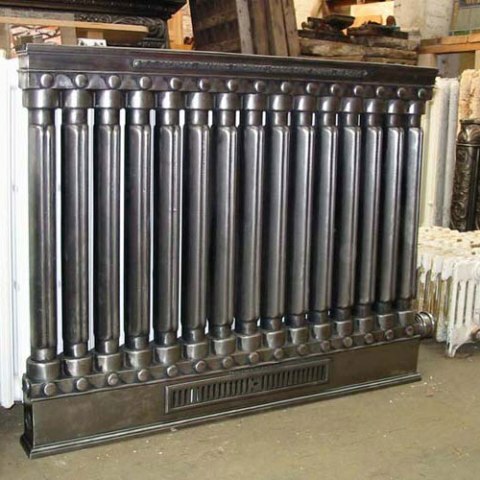 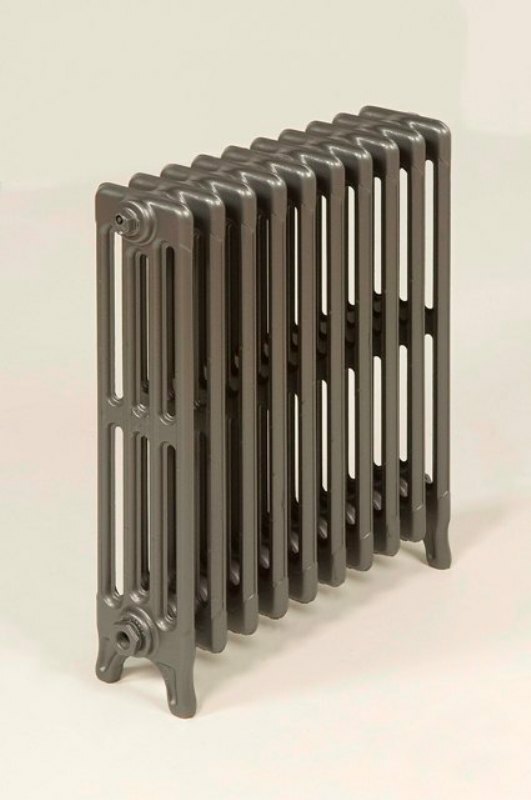 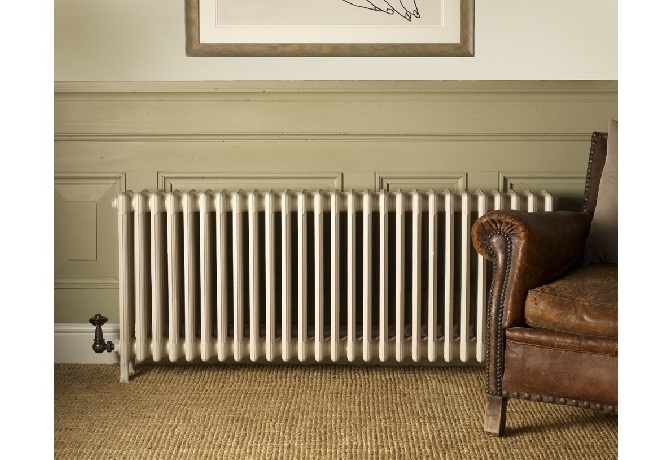 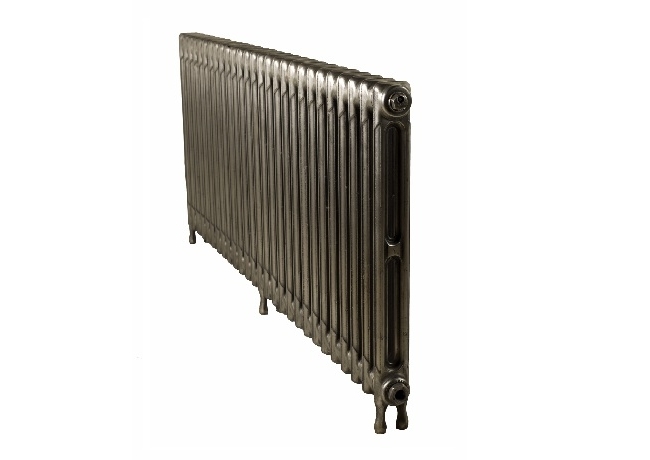 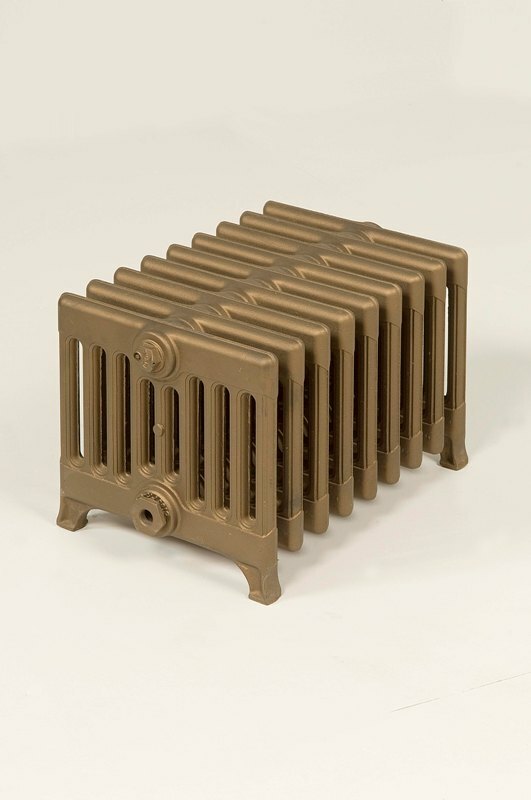 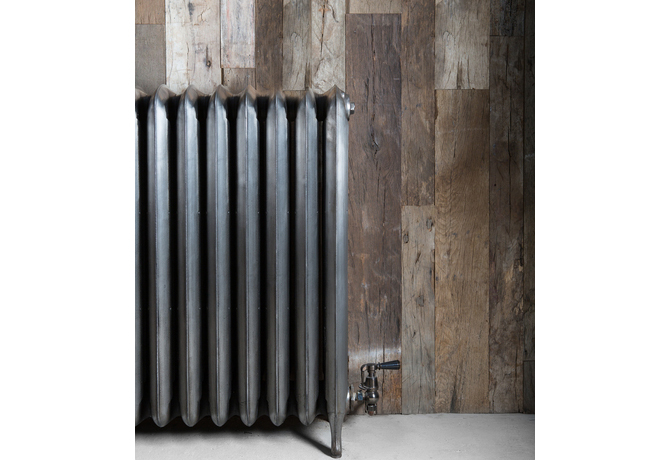 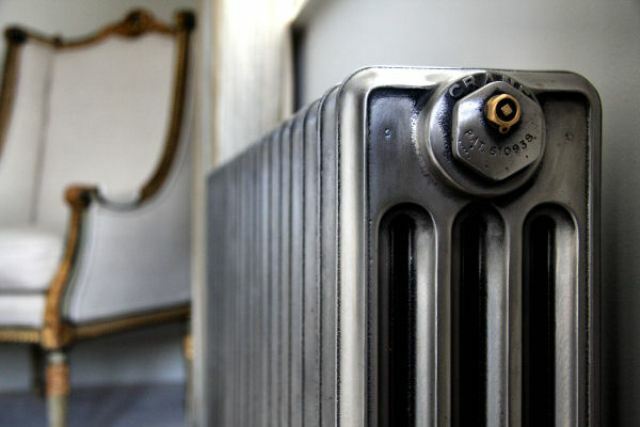 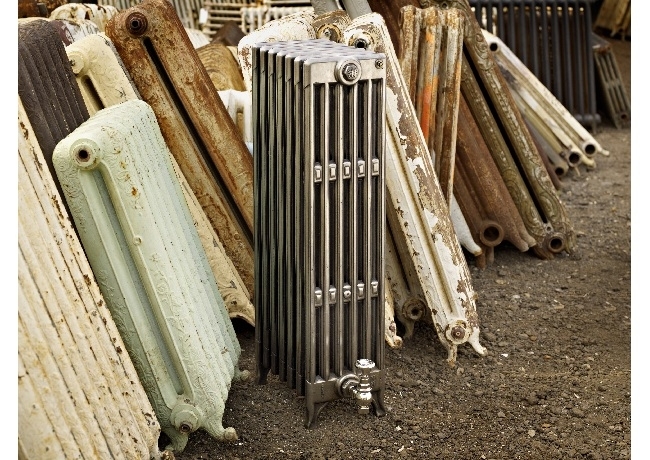 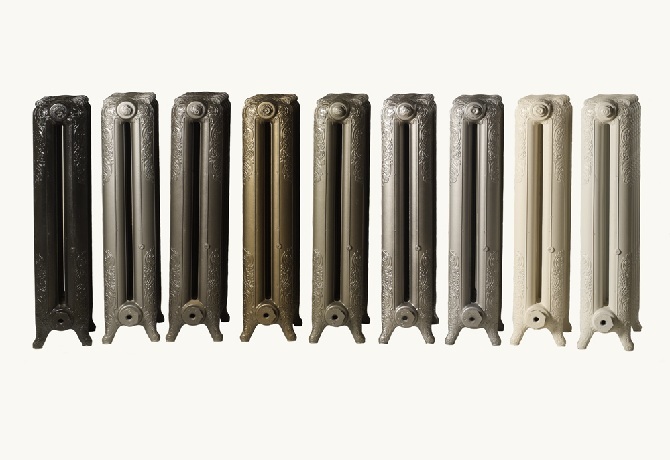 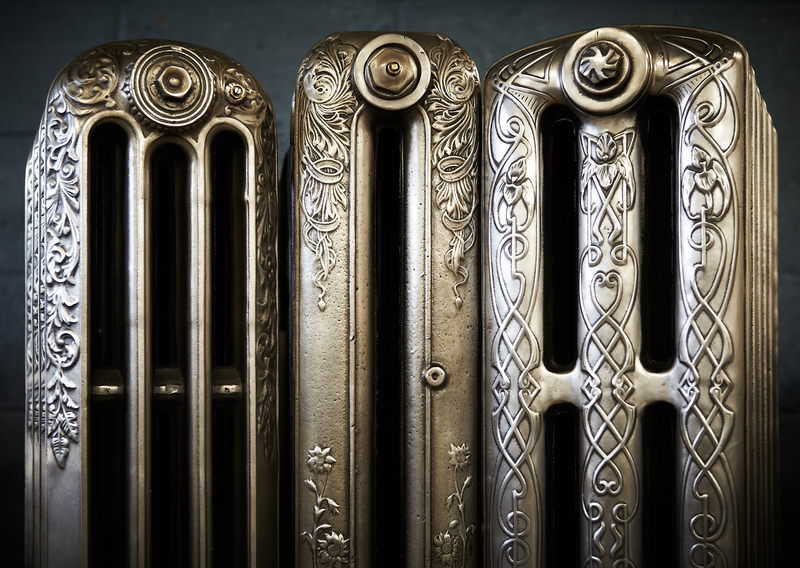 Please note all our radiators are reclaimed and are therefore subject to availability however we do have the largest stock in the UK and are able to modify radiators we have in stock. 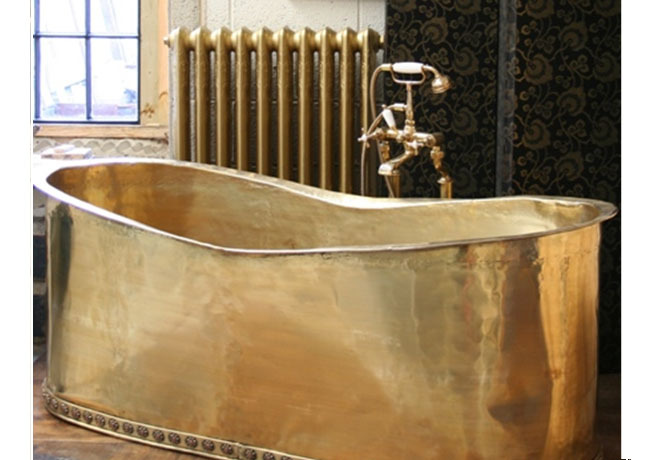 Section Width 2" 2" 2"
Section Width 2 & 2.25"
All Finishes £95 - Brass, Antique Brass, Old english Brass, Antique Copper, Chrome, Polished Nickel, Satin Nickel and Pewter. 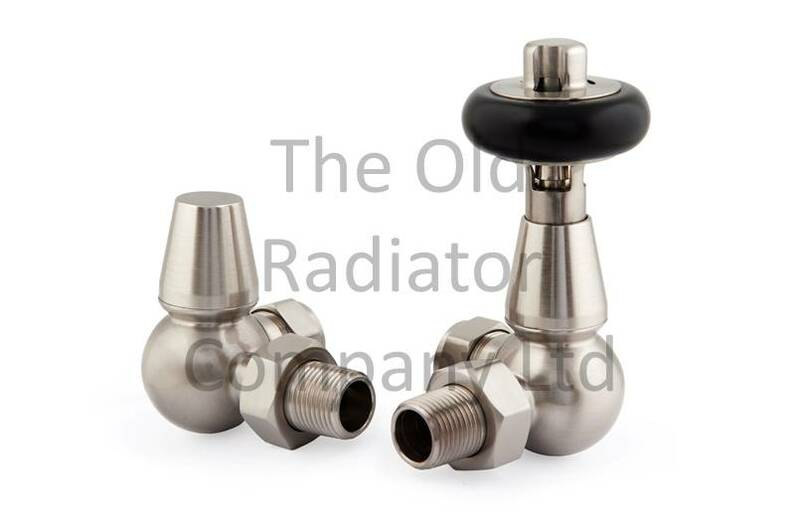 Only available in 1/2" Connection to radiator and 15mm pipe connection with handwheels shown. 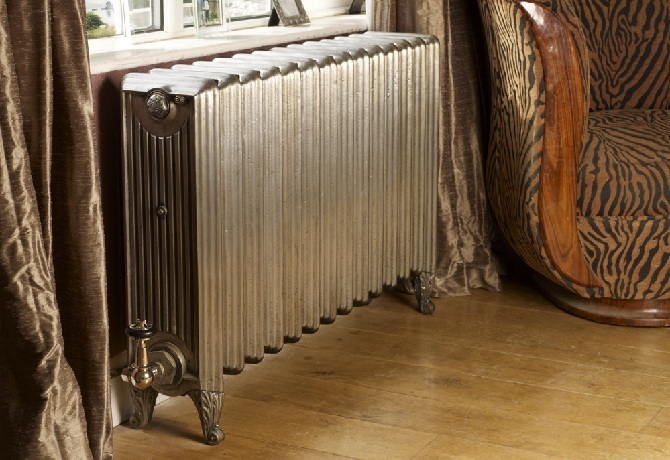 All Finishes £110 - Brass, Antique Brass, Old english Brass, Antique Copper, Chrome, Polished Nickel, Satin Nickel and Pewter. 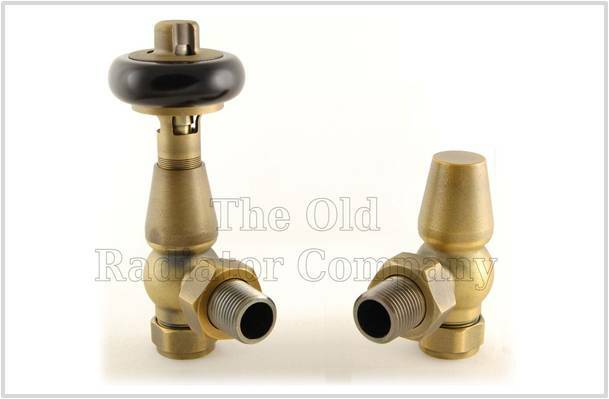 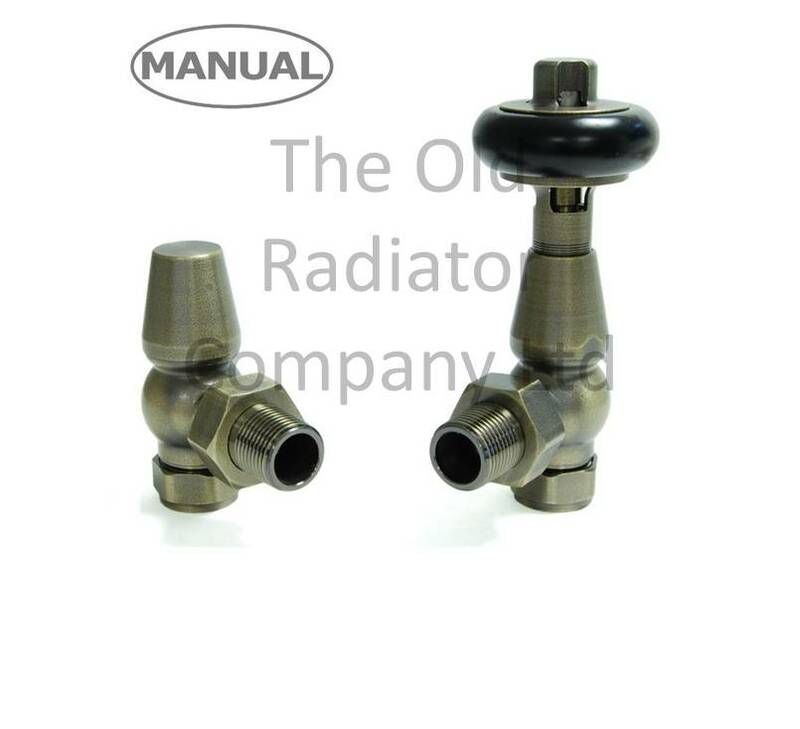 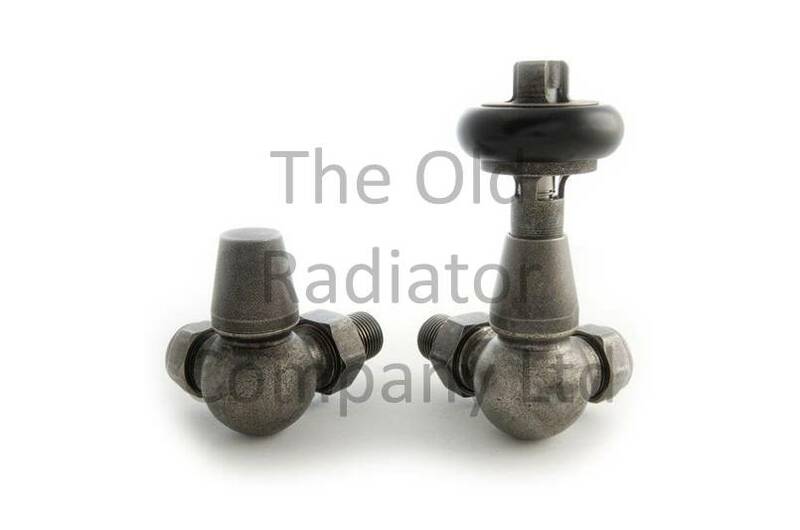 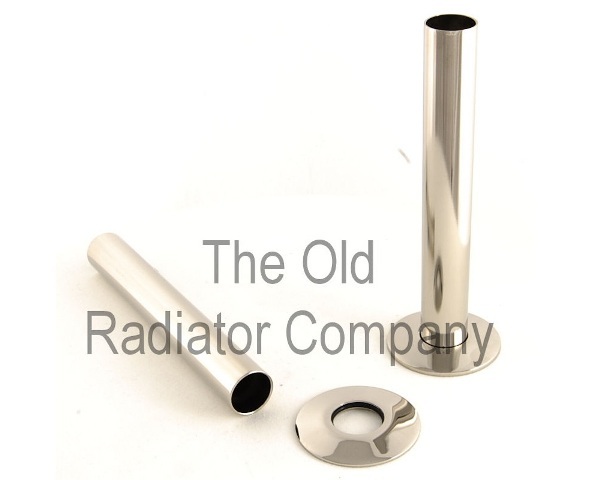 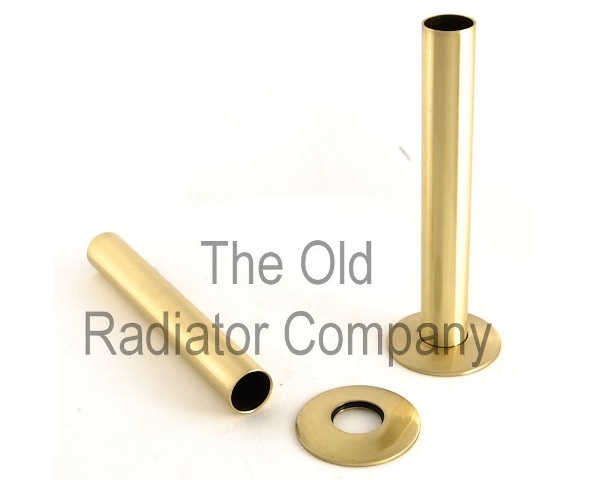 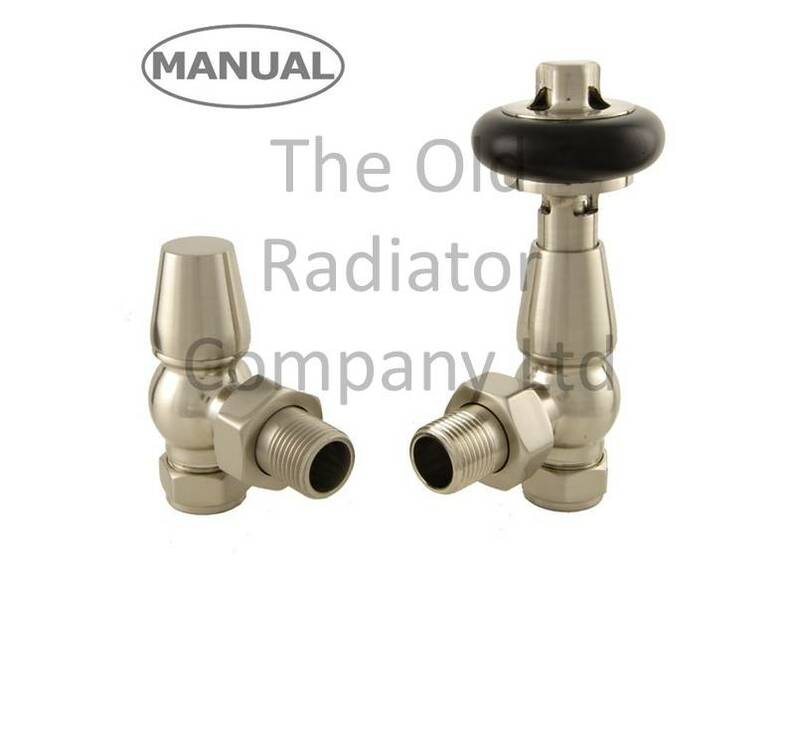 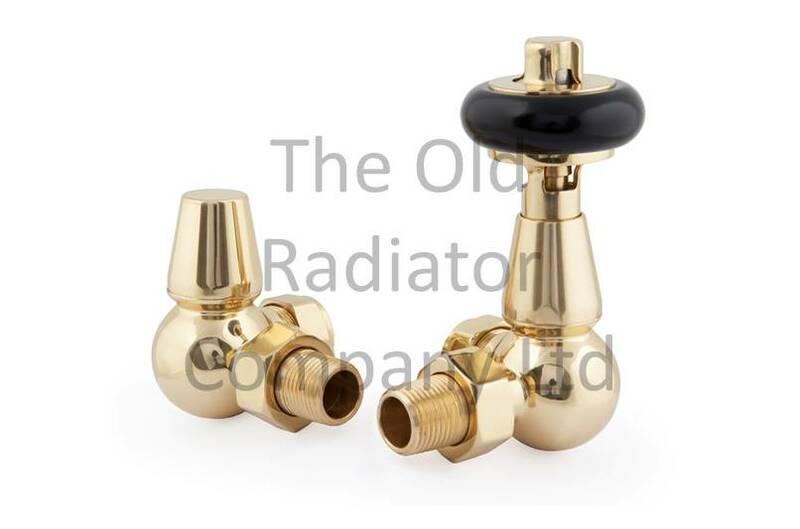 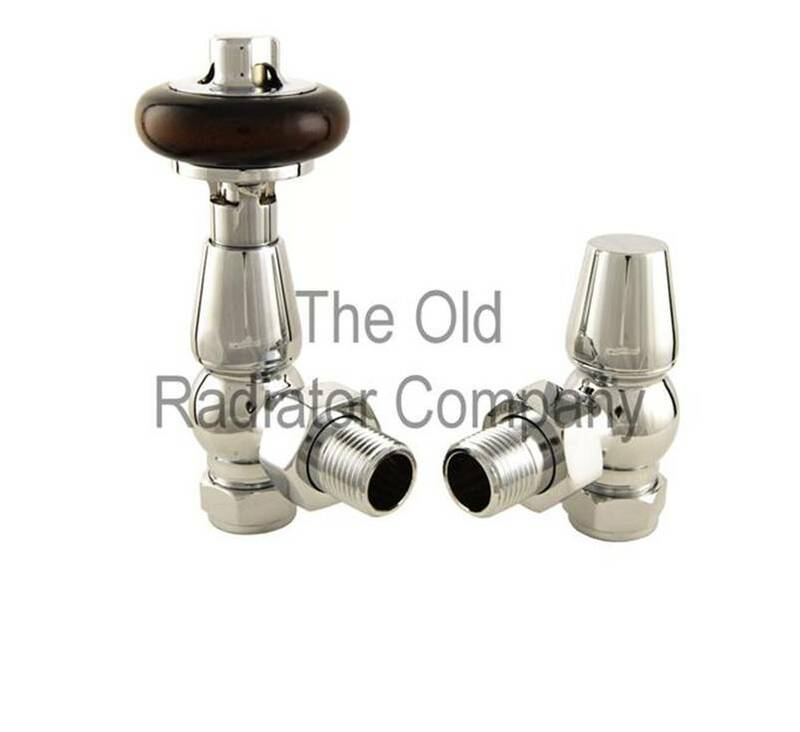 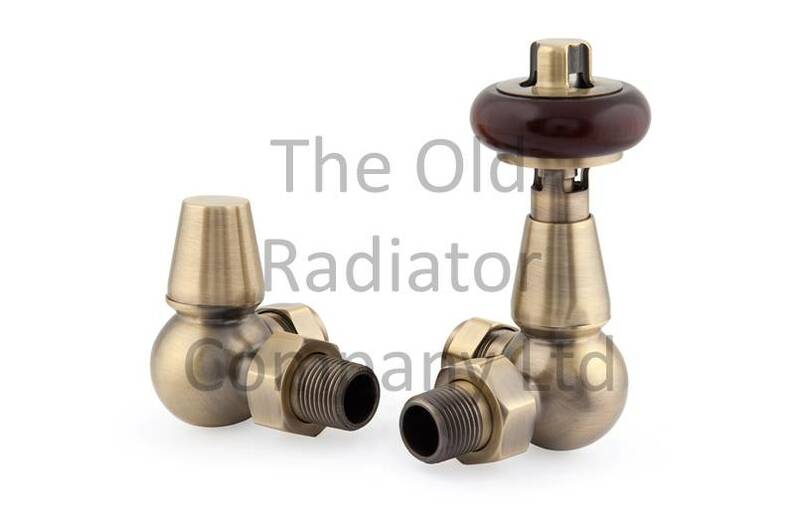 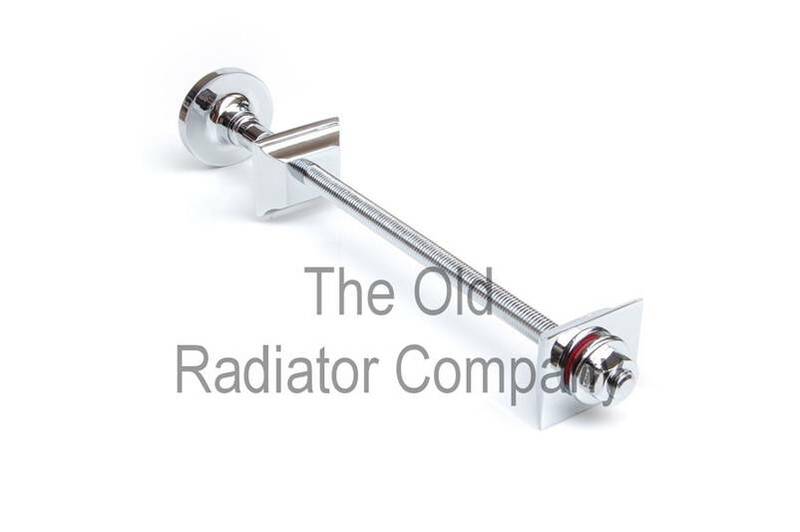 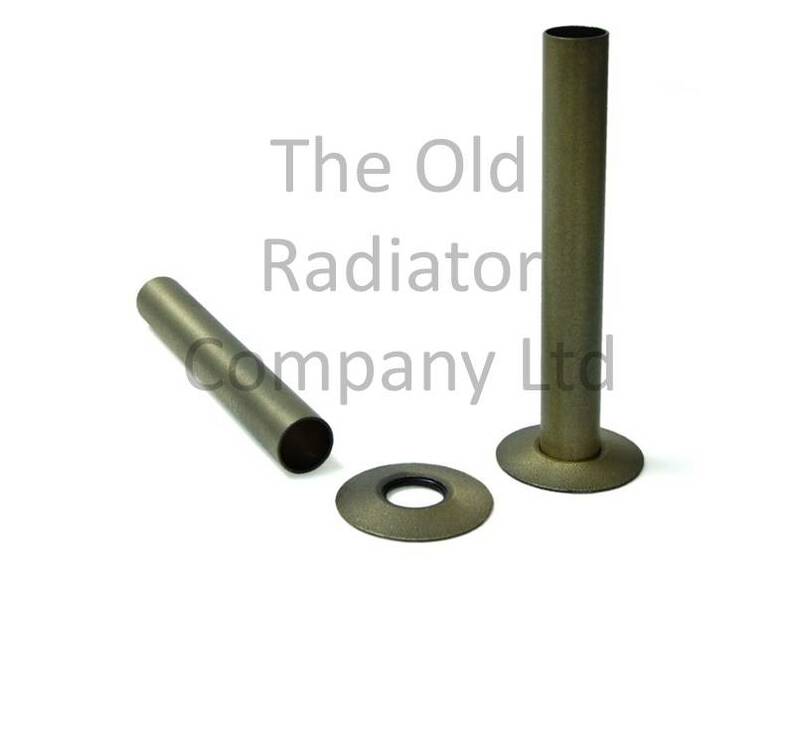 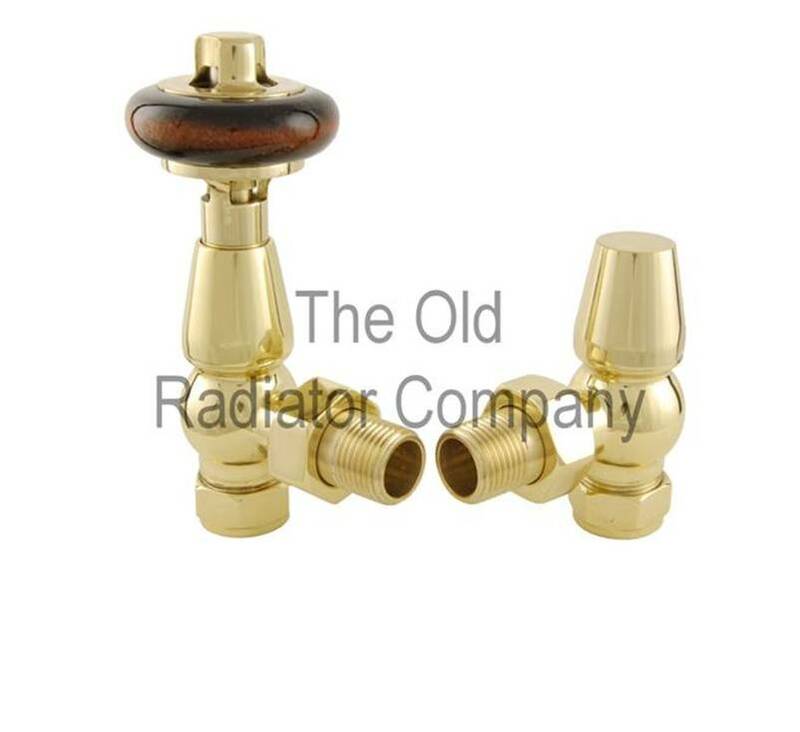 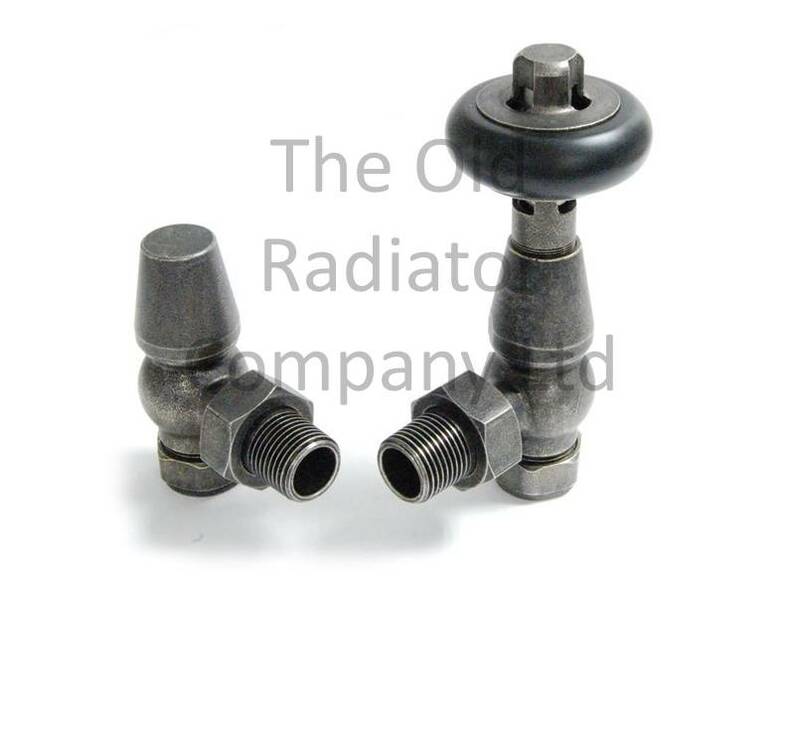 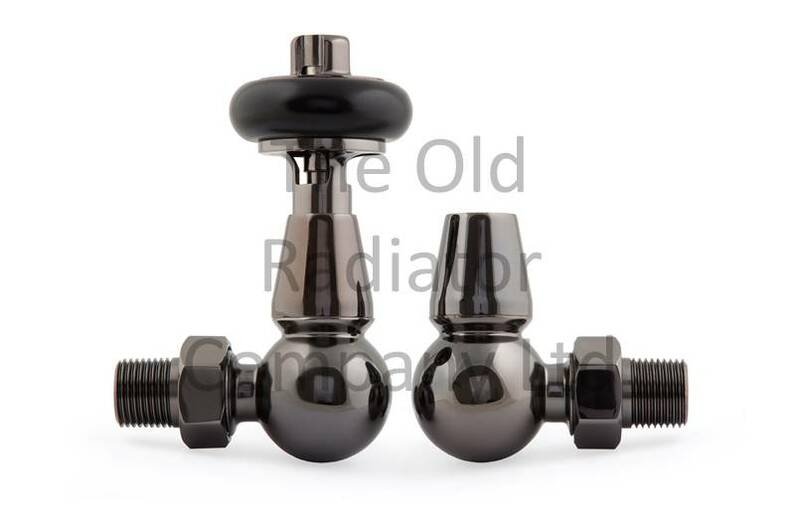 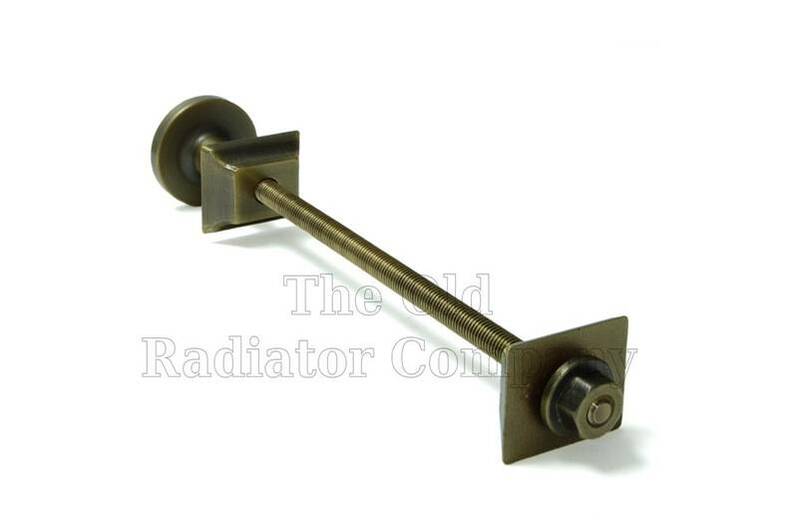 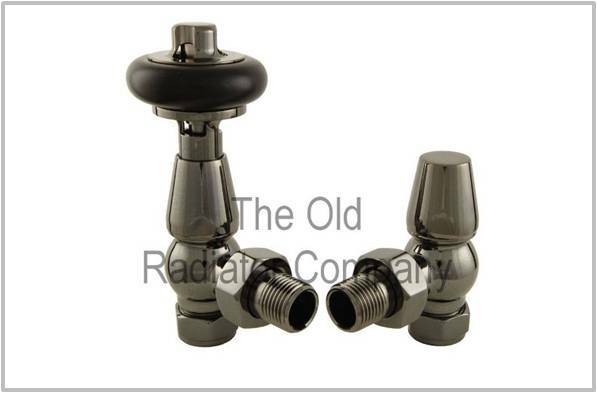 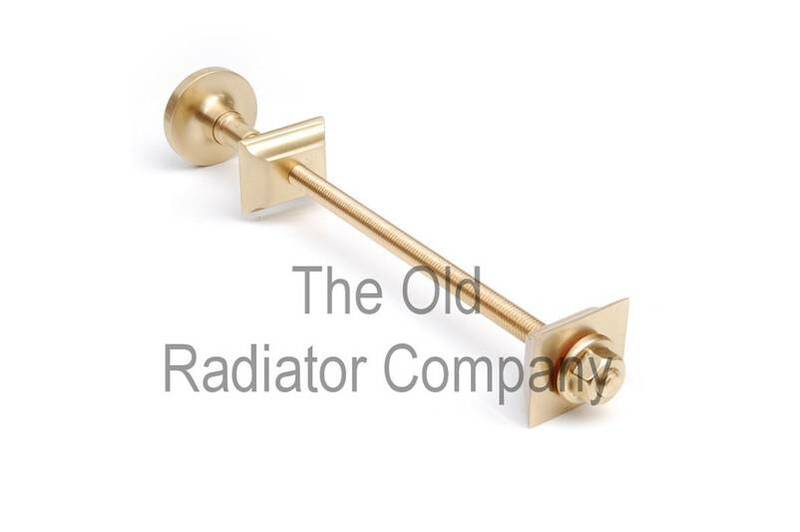 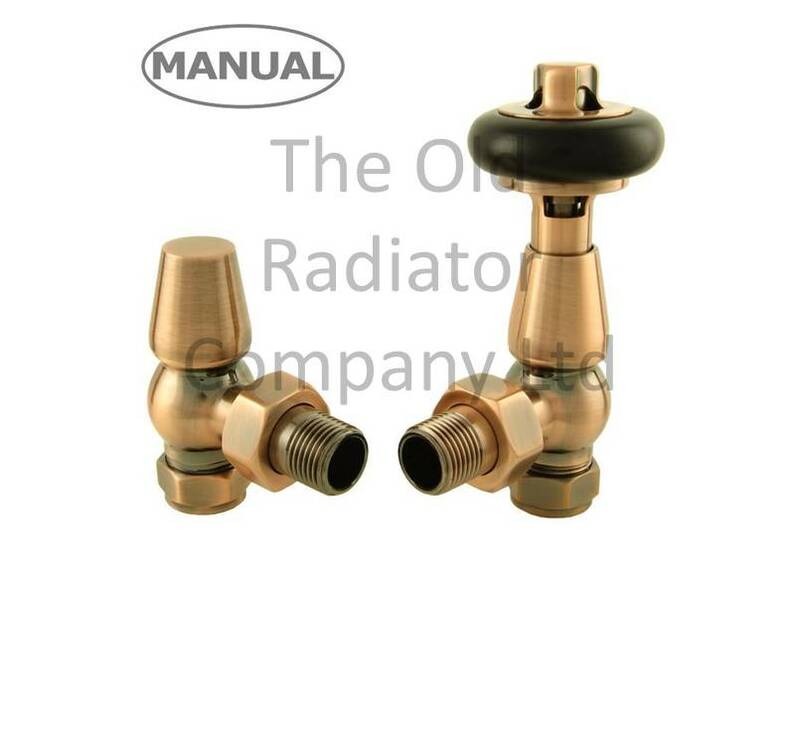 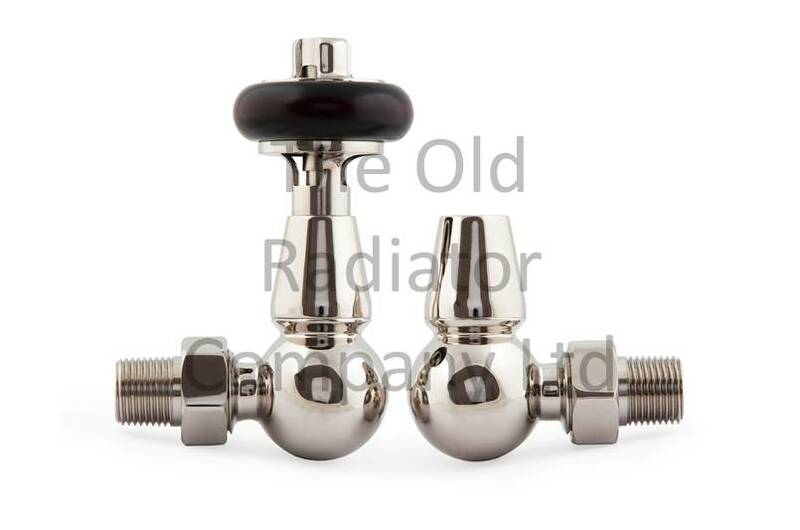 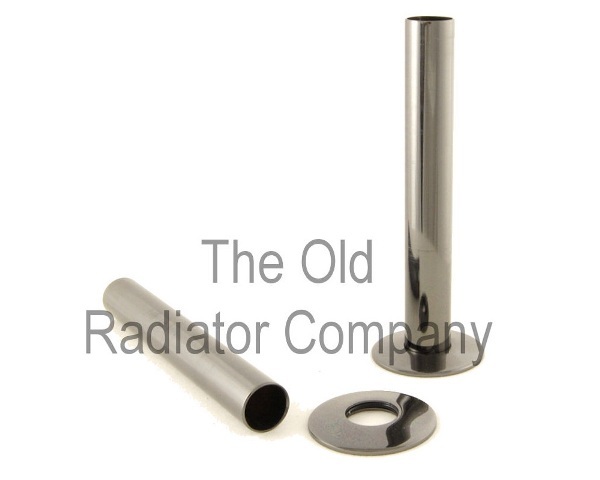 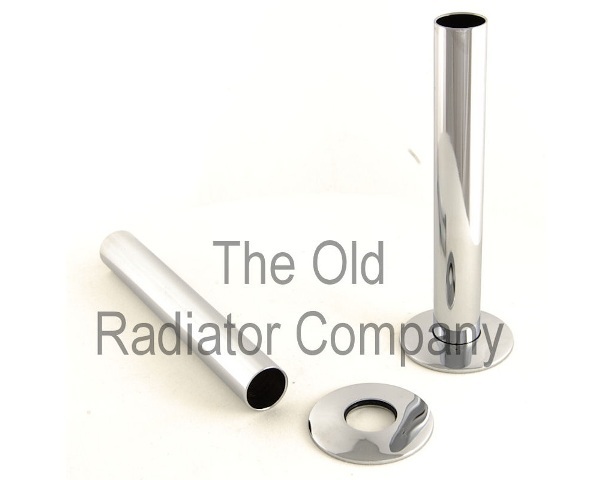 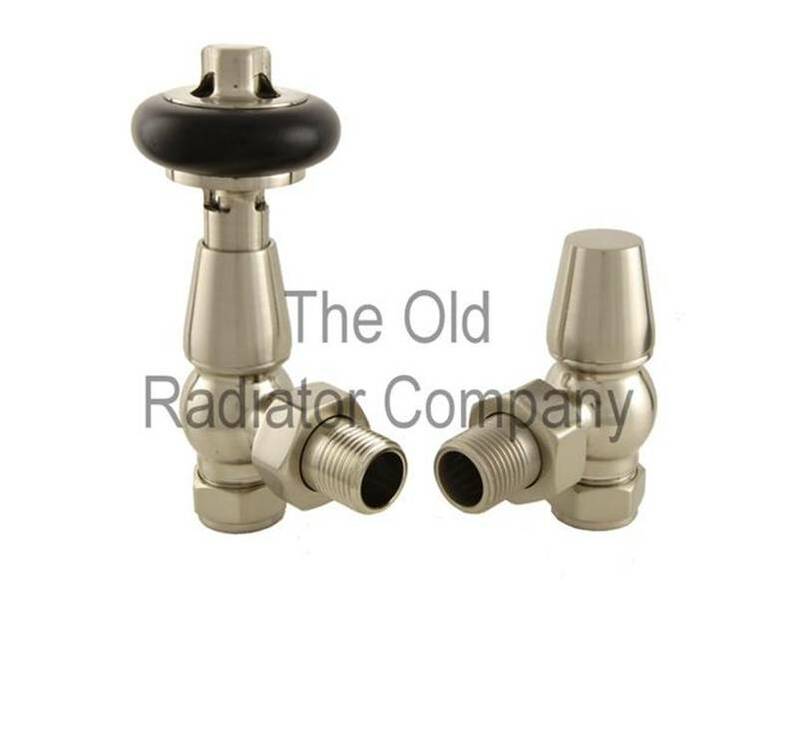 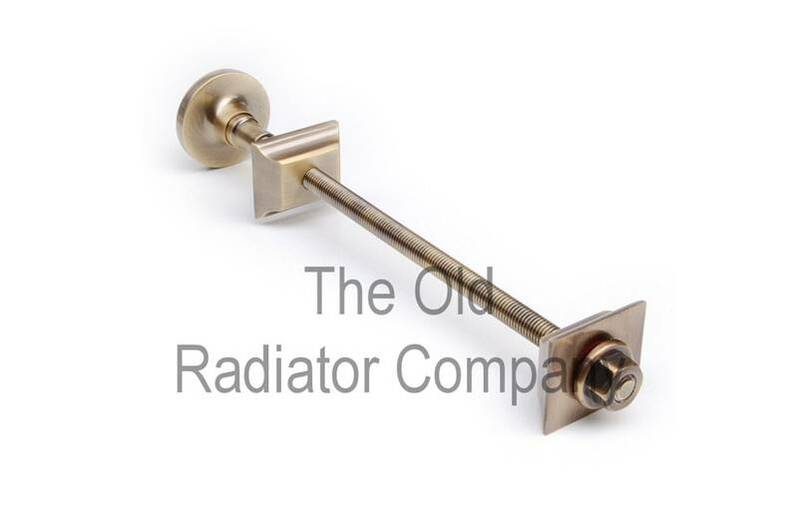 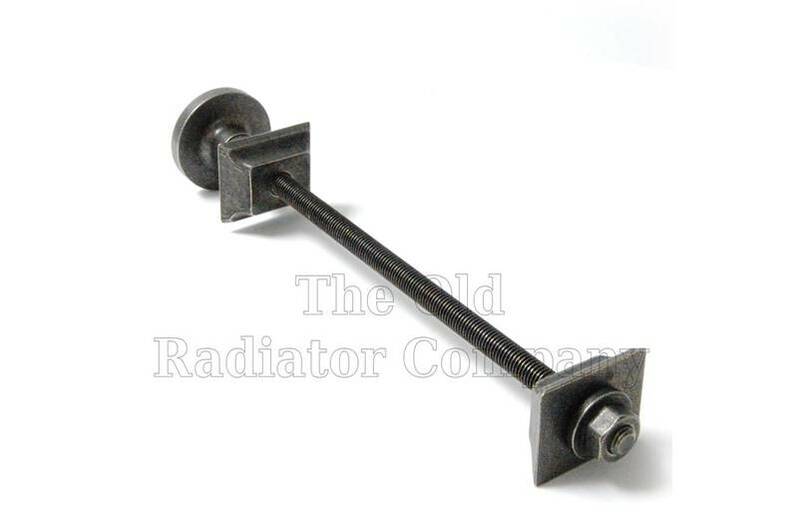 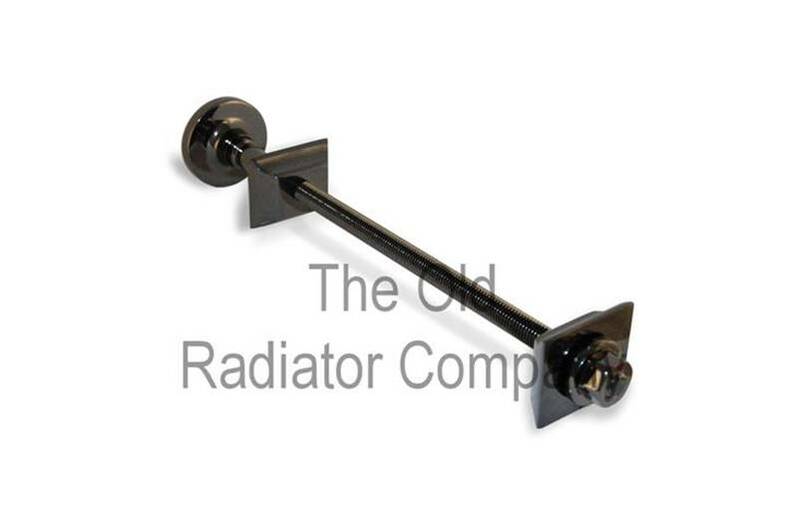 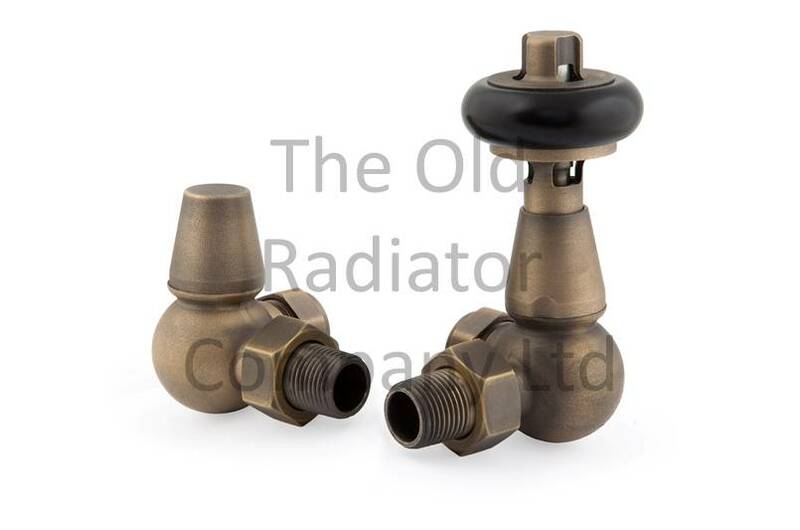 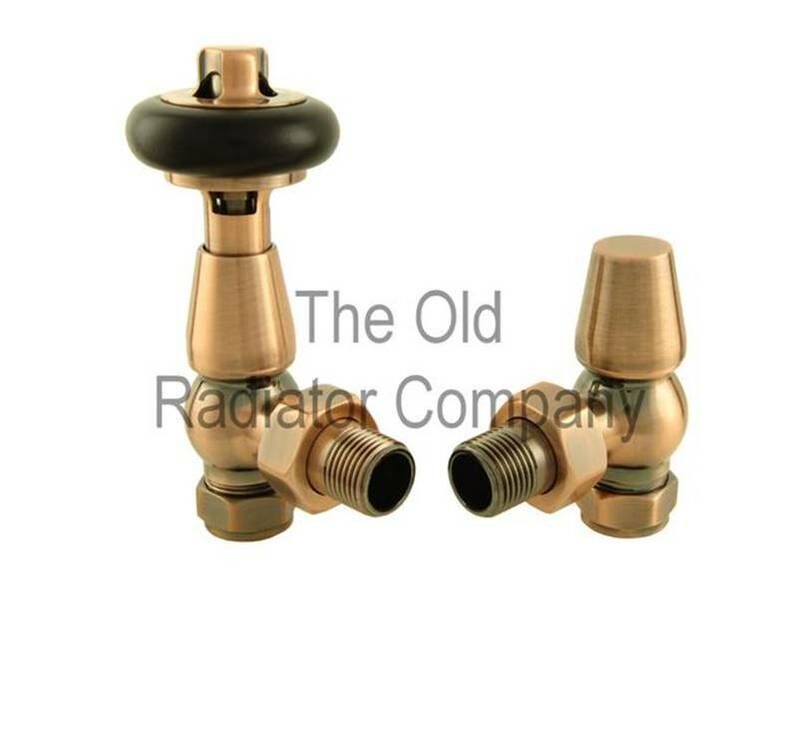 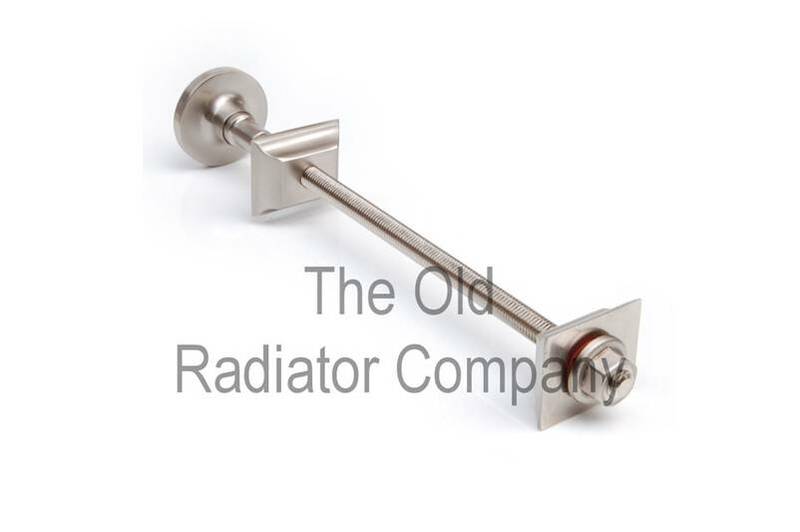 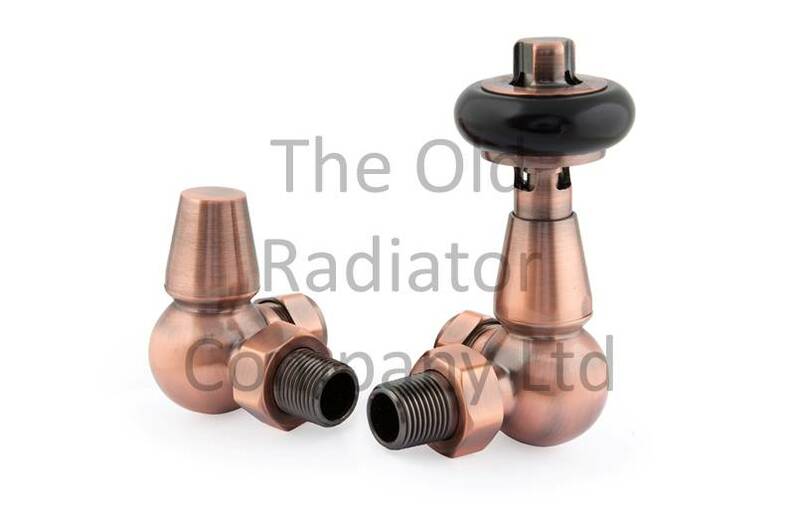 Available in either Manual or Thermostatic but only available in 90° Angled with 1/2" Connection to radiator and 15mm pipe connection with handwheels shown. 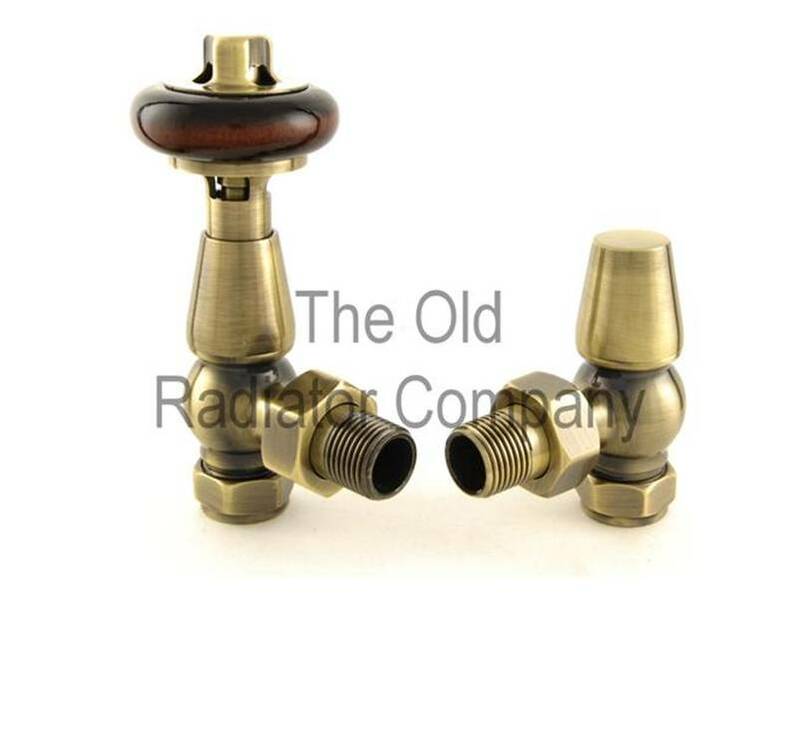 All Finishes £32 - The pipe shrouds come in the same colours as the traditional valves (brass, antique brass, old english brass, antique copper, chrome, nickel, brushed nickel and pewter).